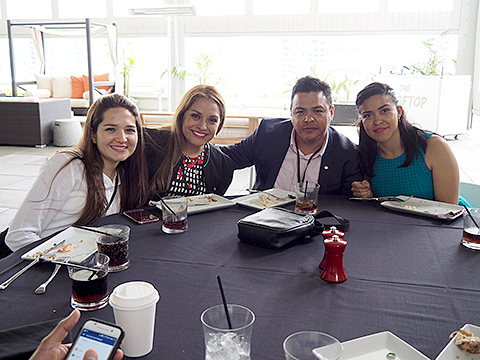 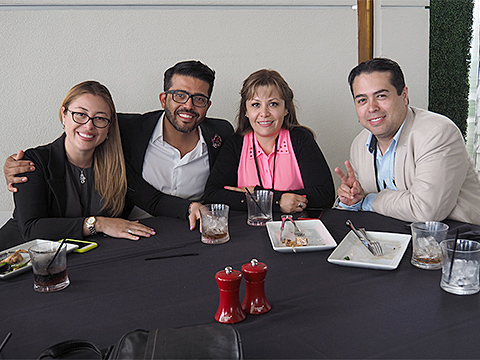 Our meeting was held in San Diego this year the convention center, at ANdAS San Diego. 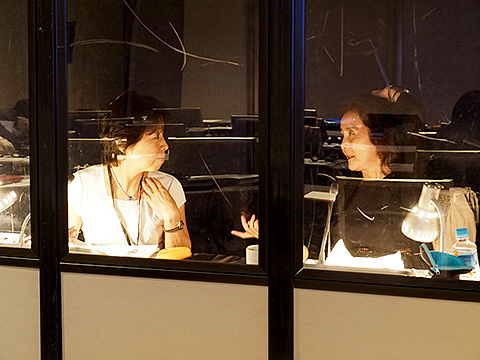 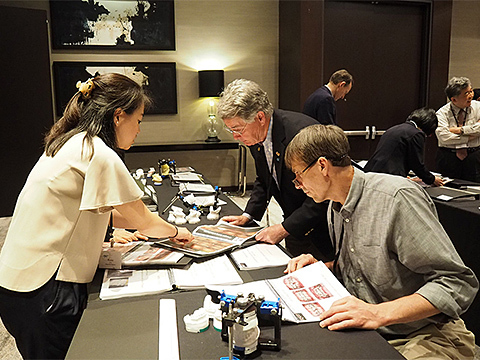 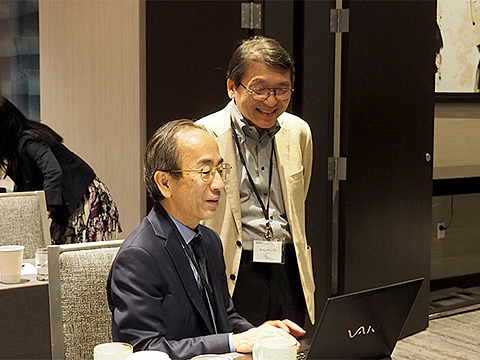 It was the Japanese members’ turn to help with the meeting preparation. 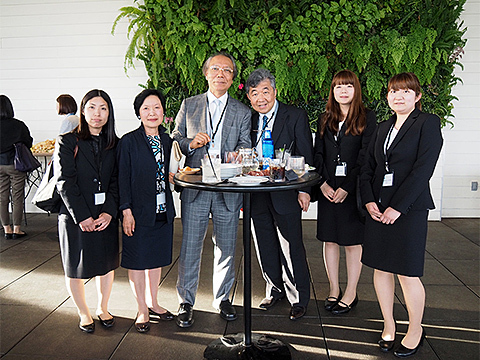 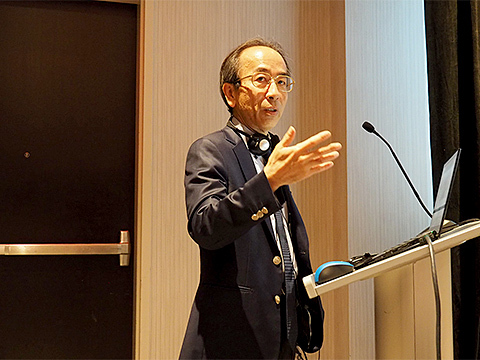 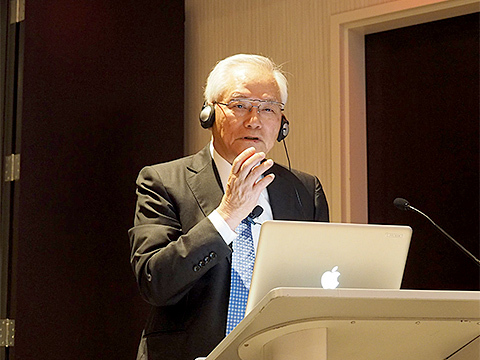 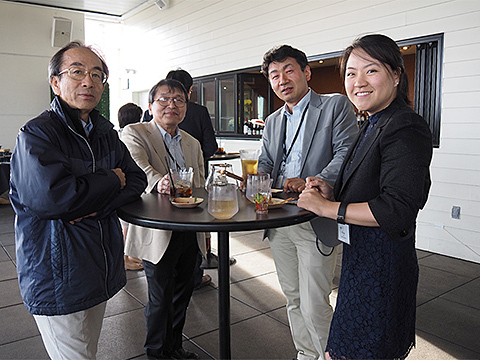 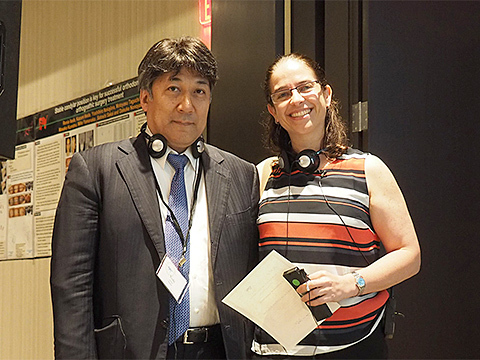 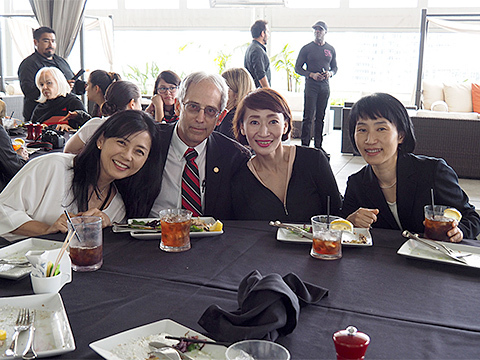 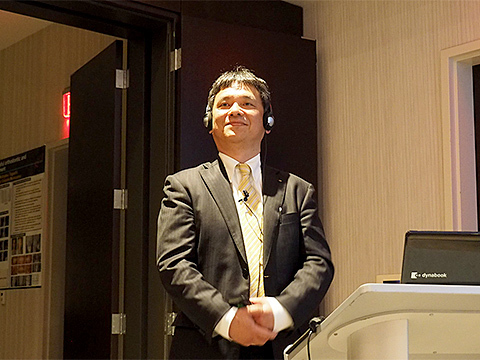 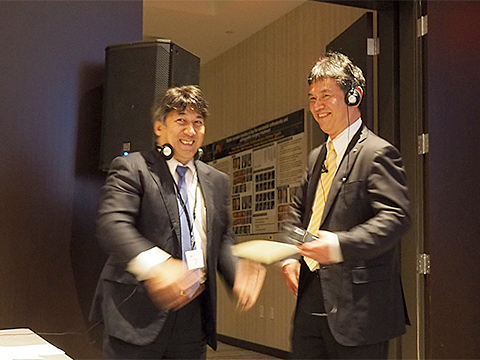 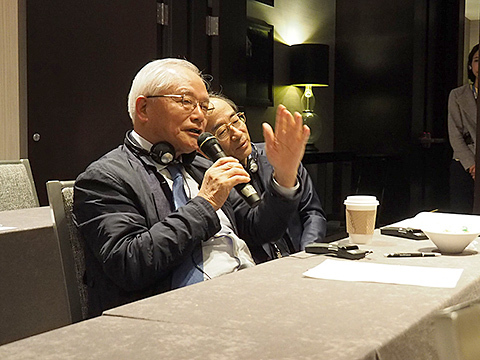 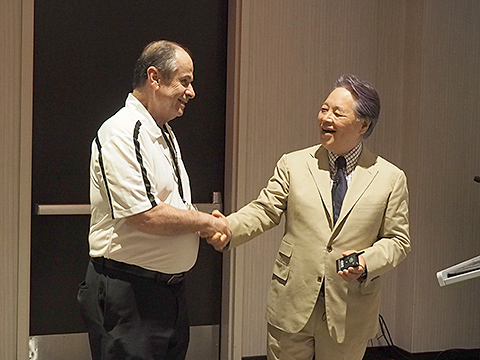 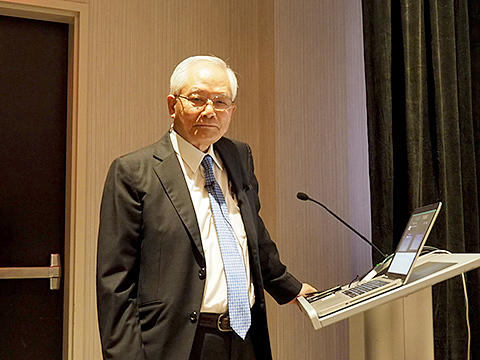 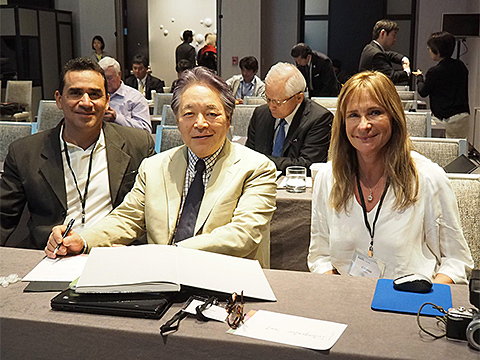 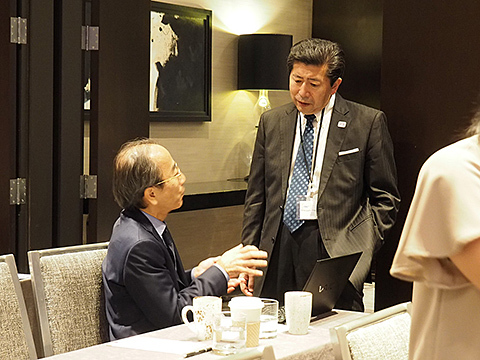 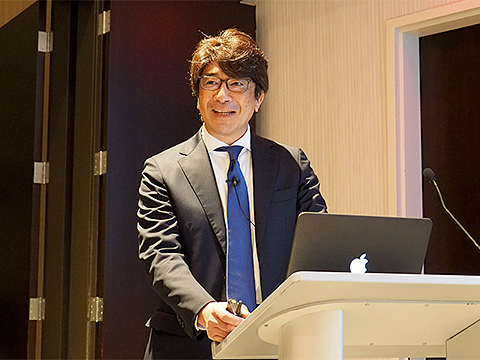 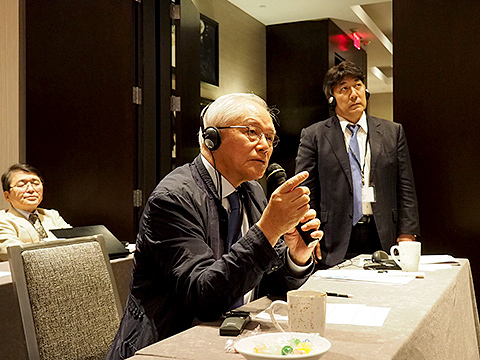 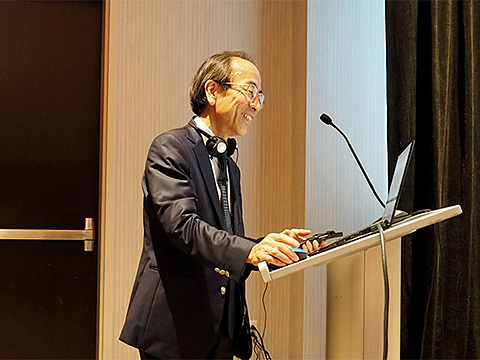 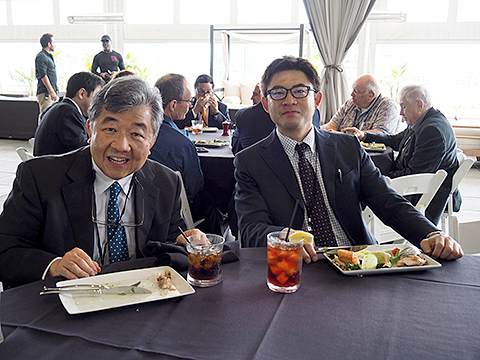 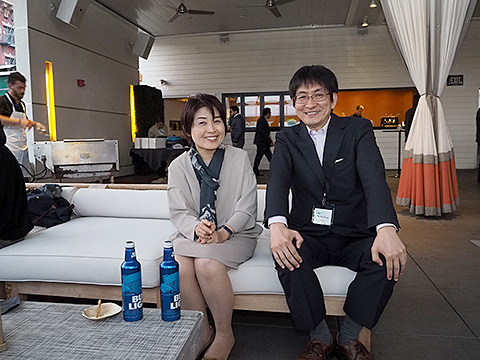 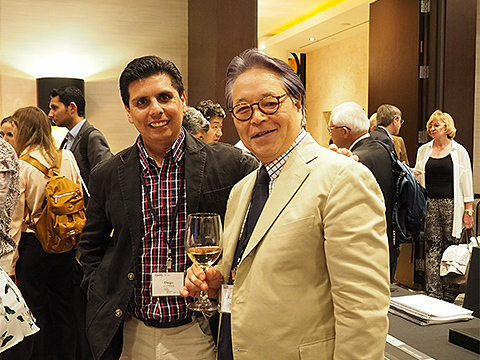 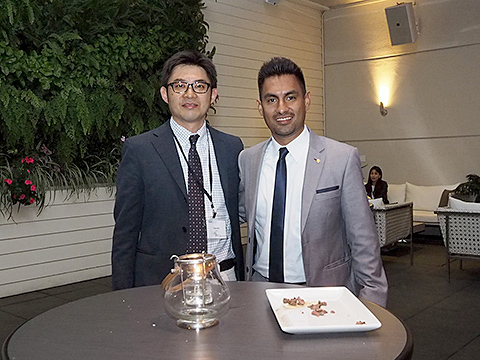 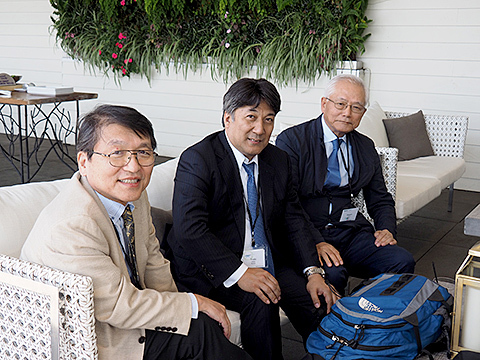 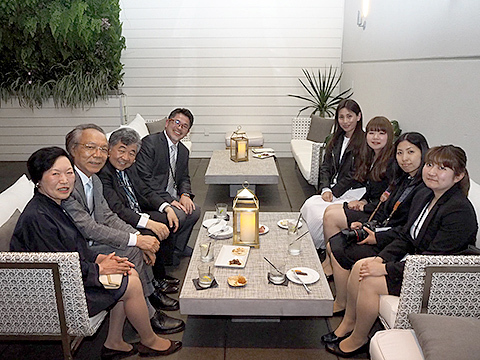 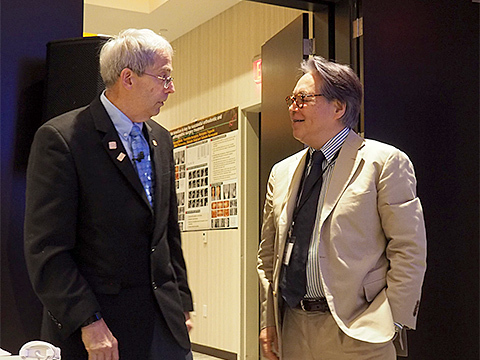 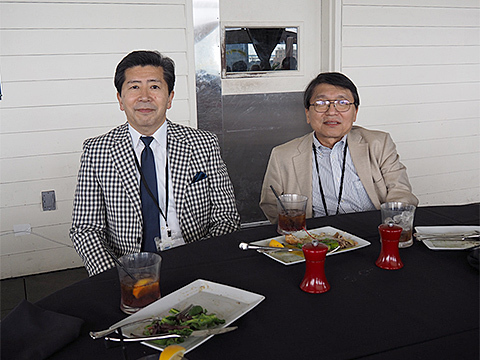 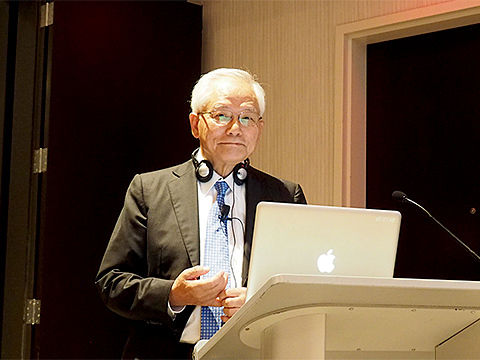 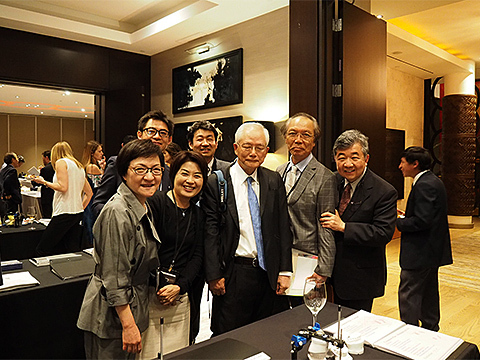 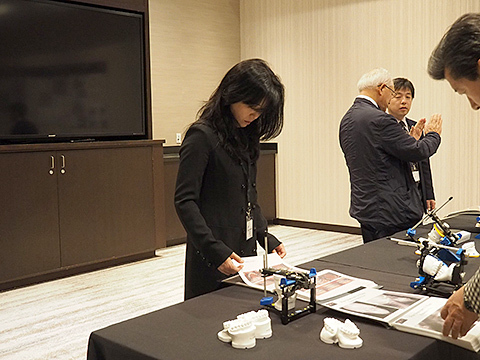 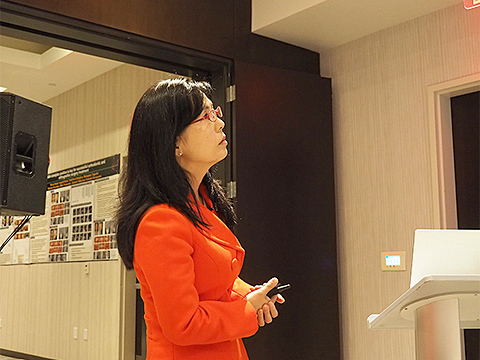 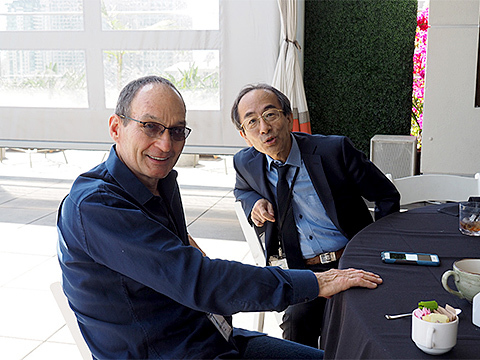 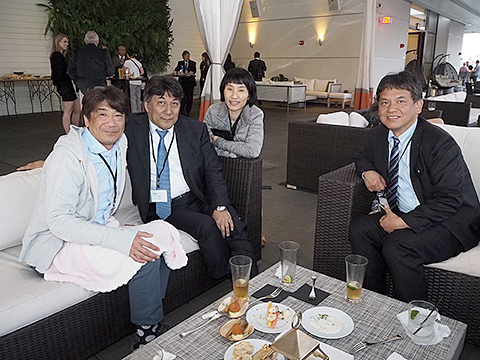 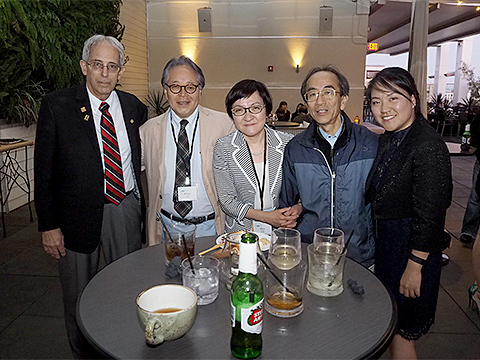 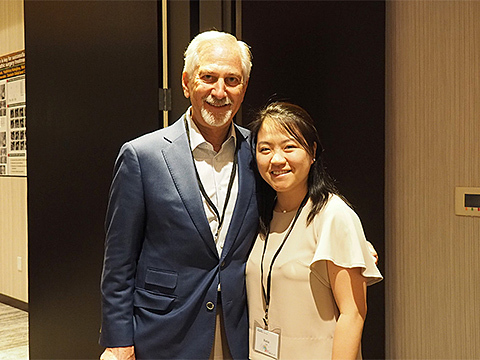 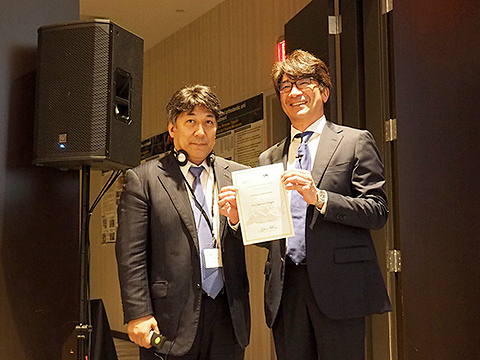 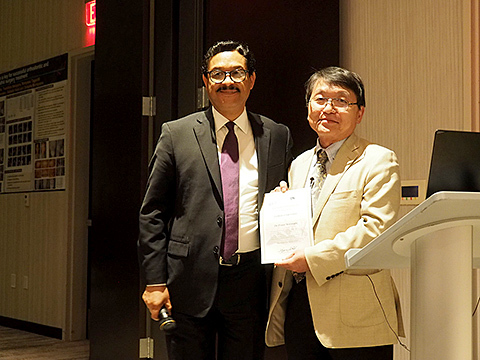 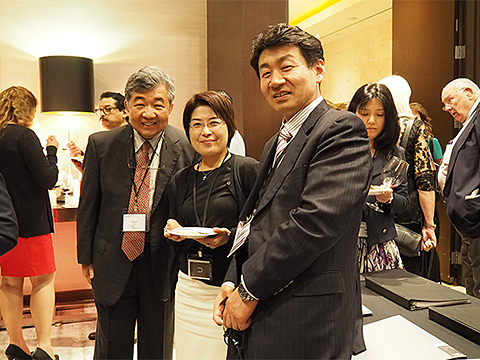 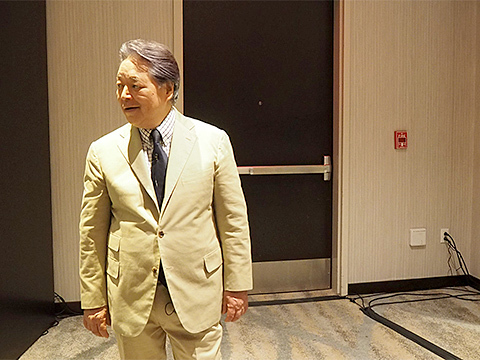 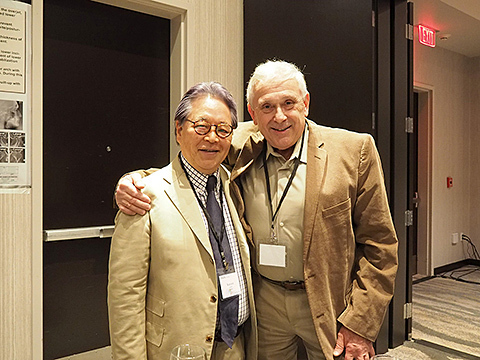 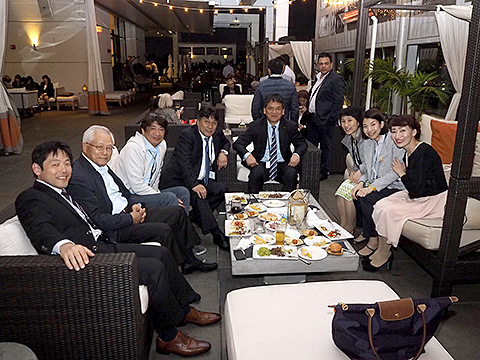 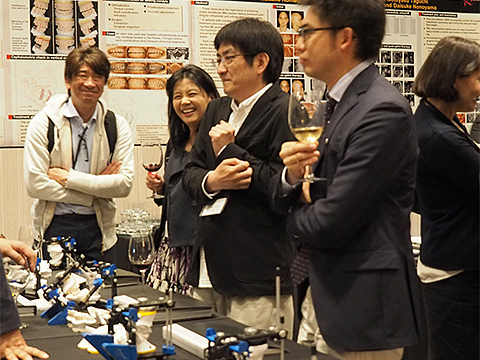 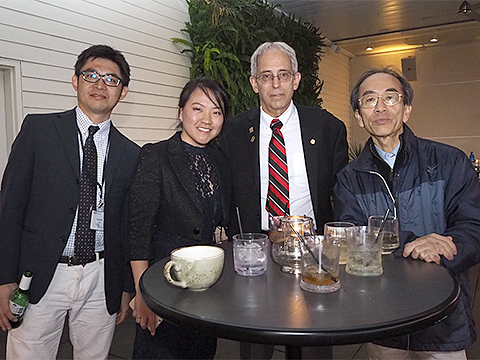 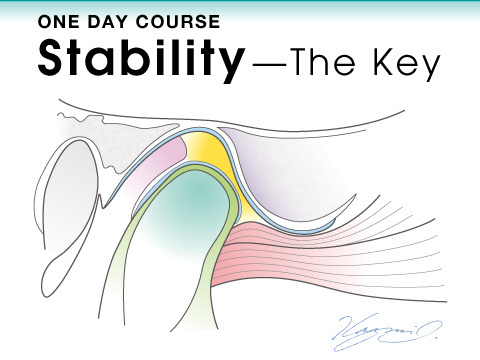 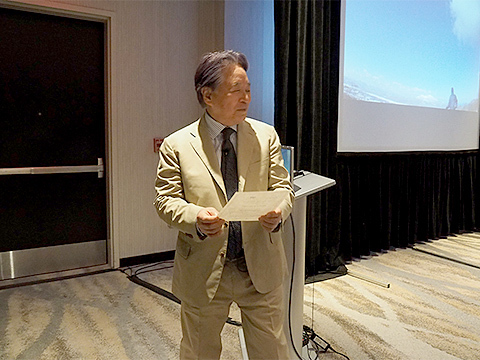 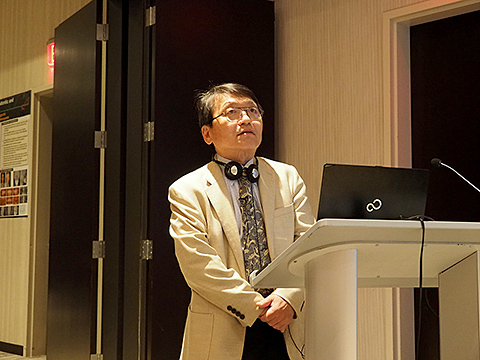 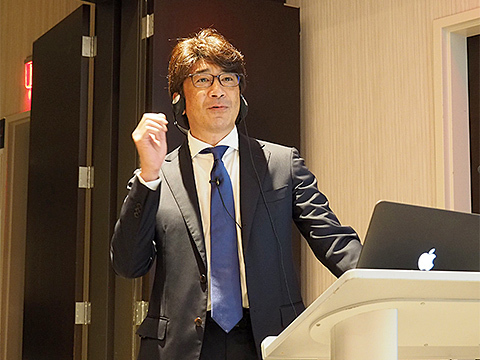 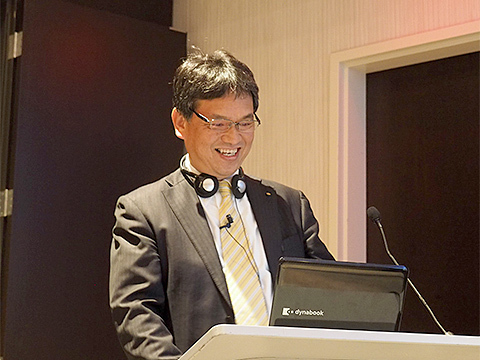 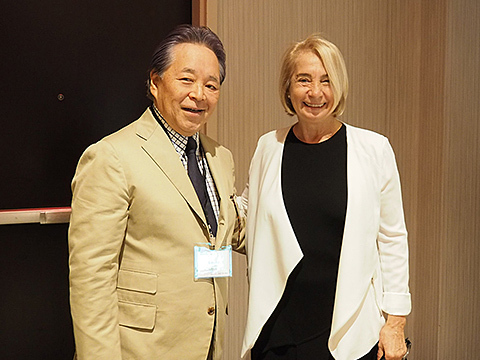 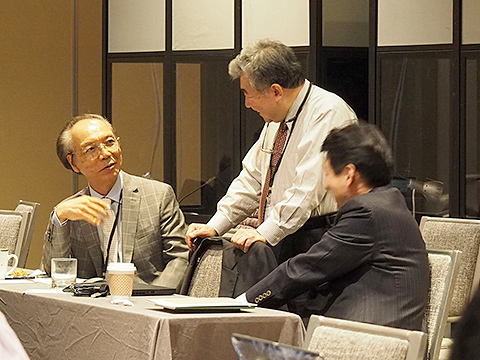 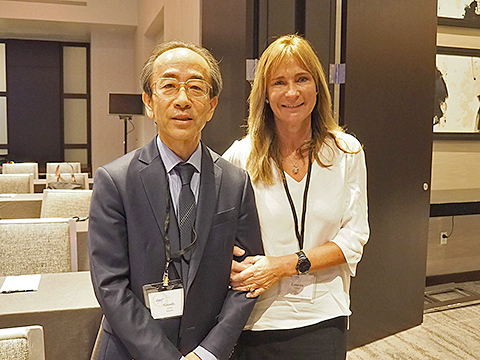 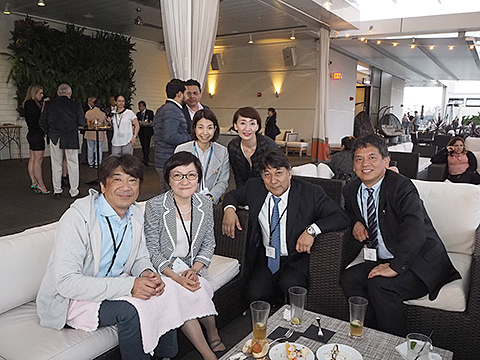 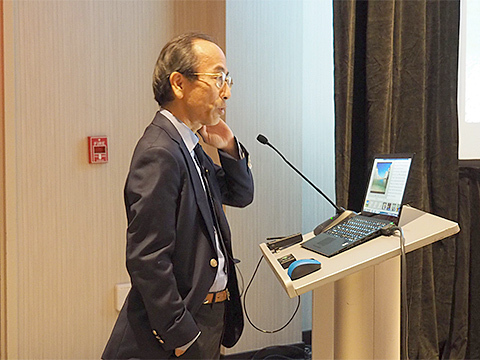 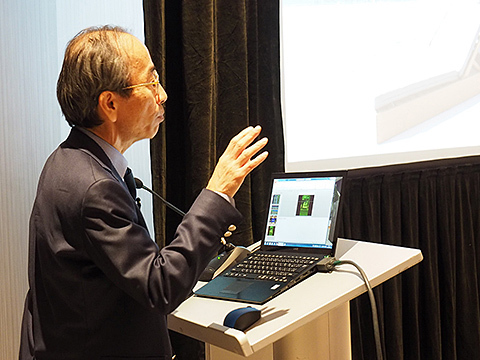 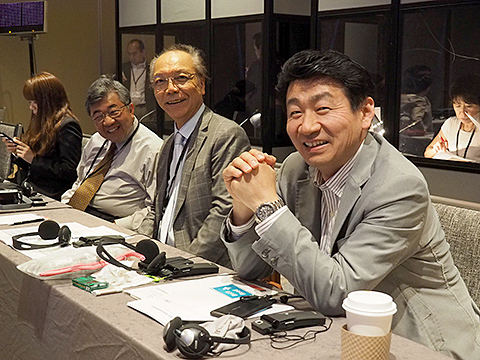 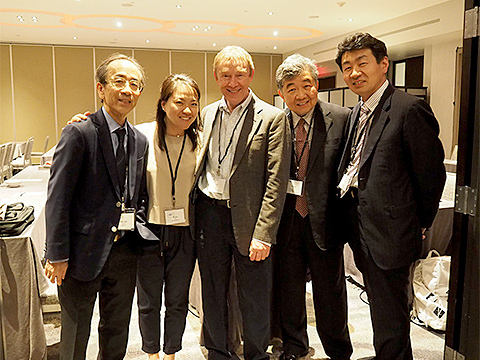 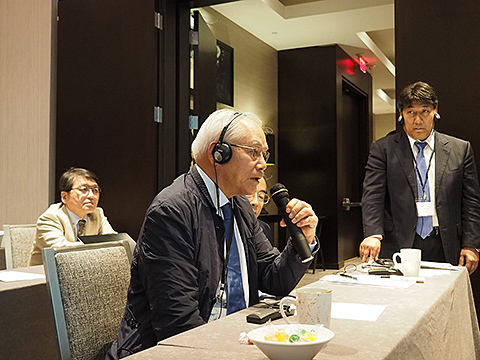 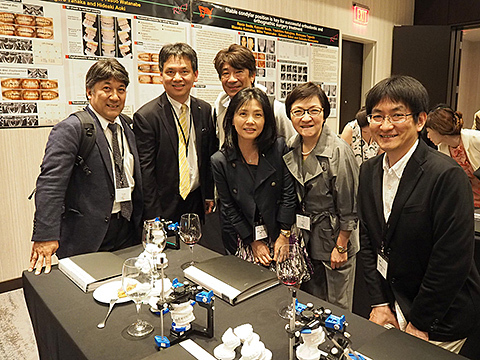 On behalf of the members, I would like to thank Dr. Kazumi Ikeda and his secretary Kei Miyazaki for all their efforts in helping make this a successful meeting! 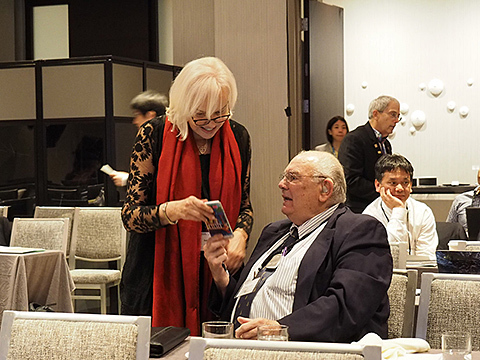 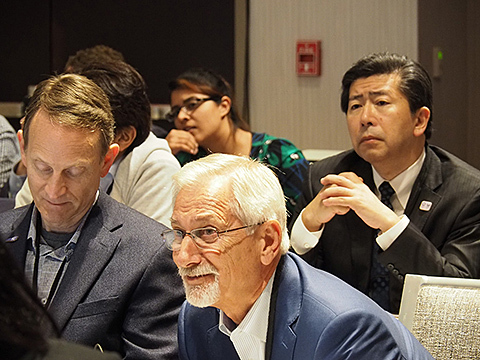 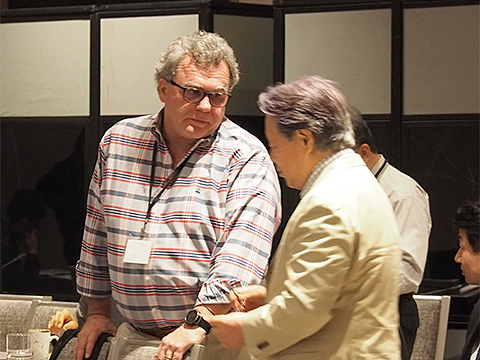 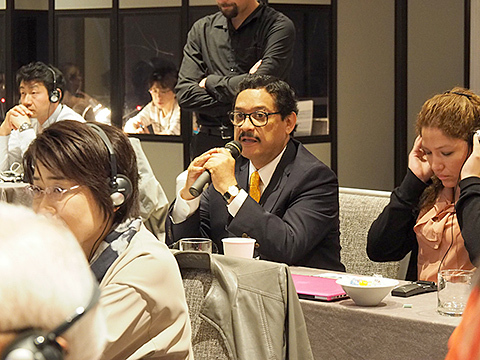 This year, we had a special one-day program immediately before the meeting, with lectures from three instructors for the two-year Roth Philosophy course in Japan: Drs. 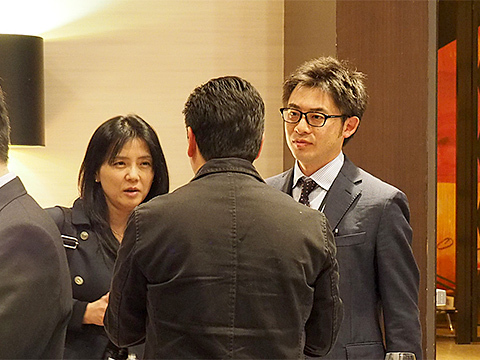 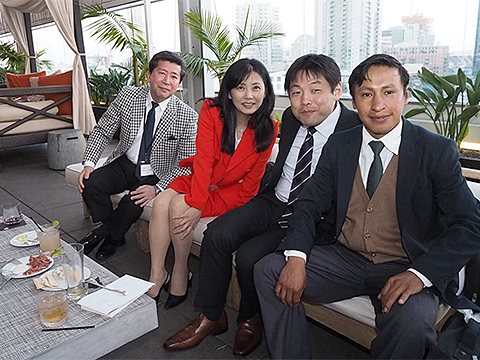 Satoshi Adachi, Kazumi Ikeda, and Masaru Sakai. 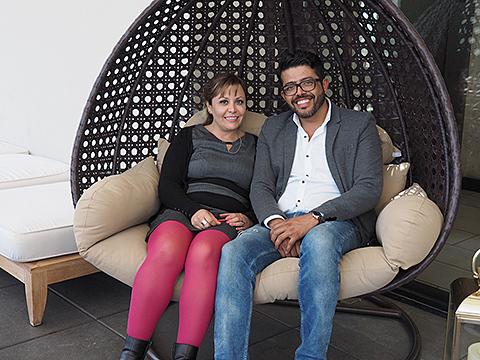 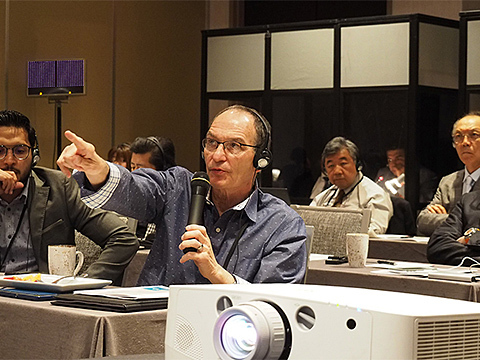 Their passionate talks seem to have resonated with the attendees, and we even later received requests from Europe for video recording of the course. 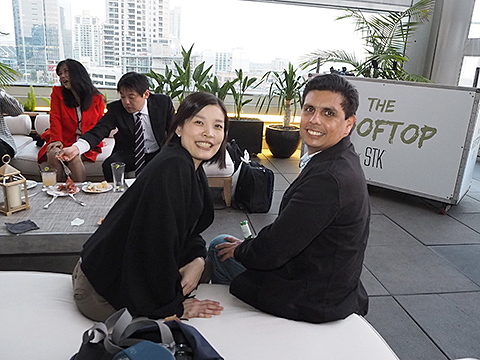 It was a truly fruitful day, catching up with old friends, making new friends, and bonding over our shared passion. 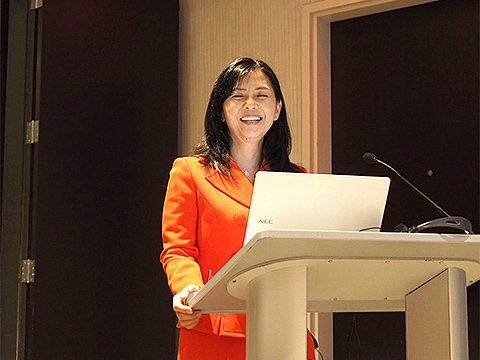 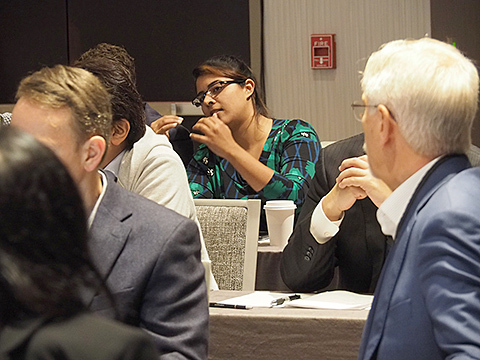 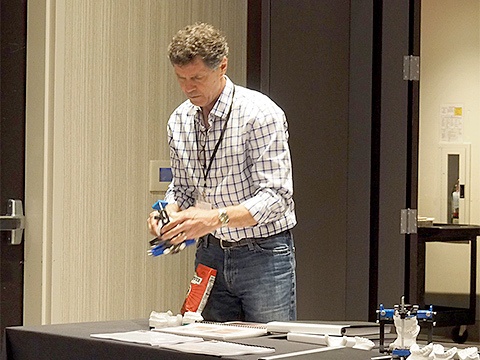 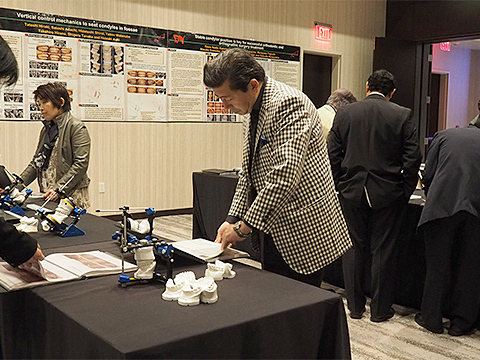 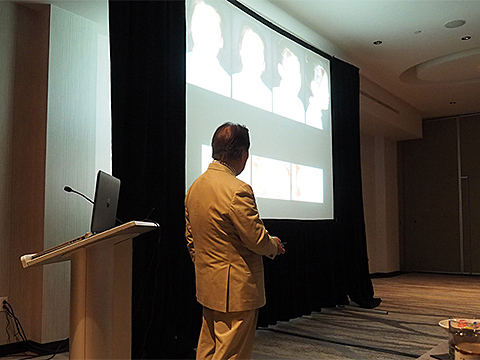 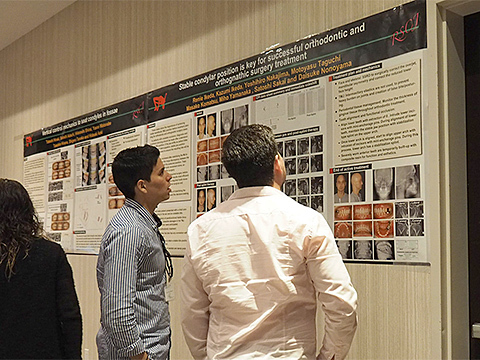 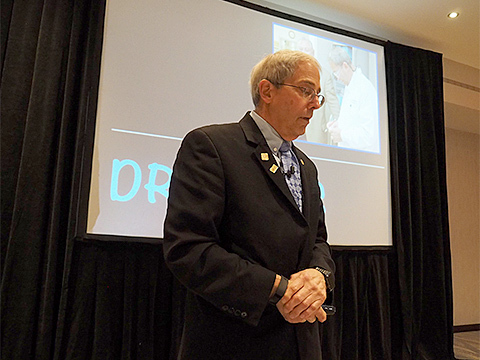 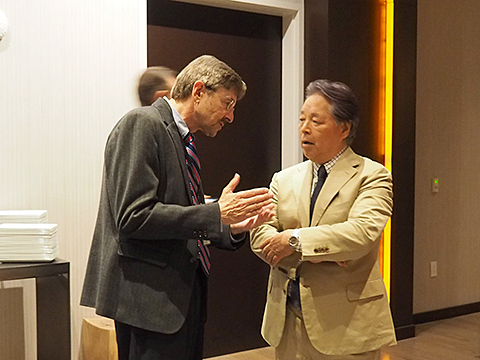 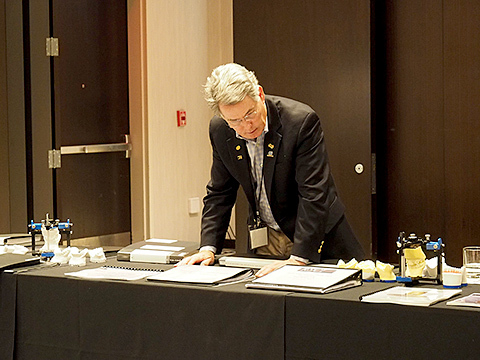 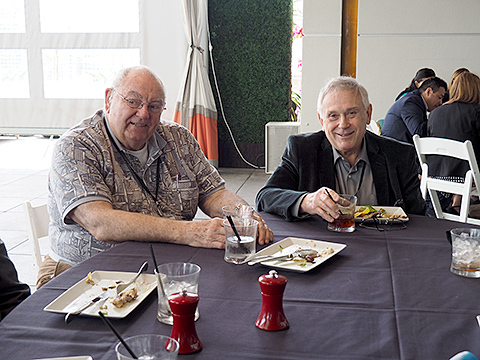 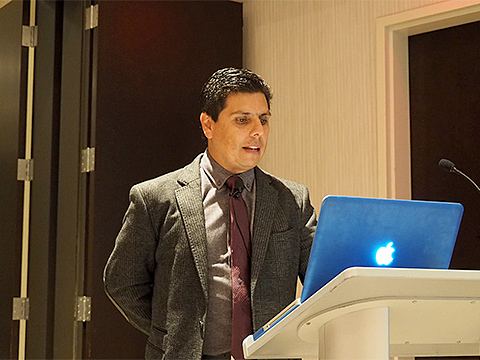 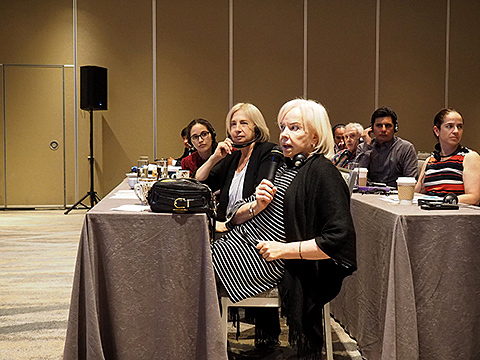 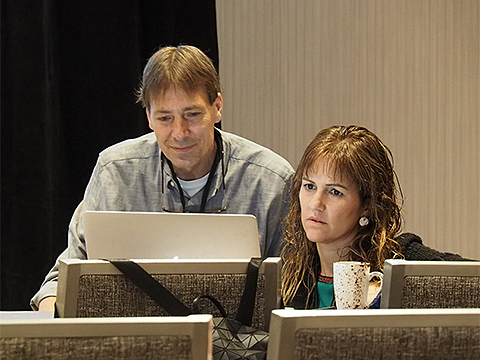 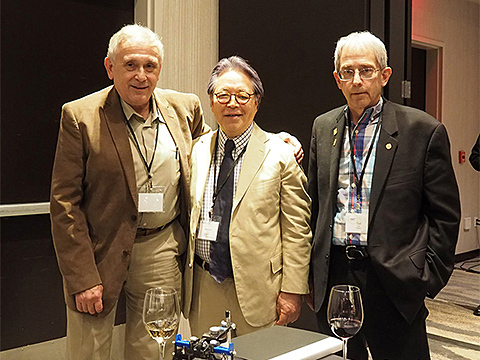 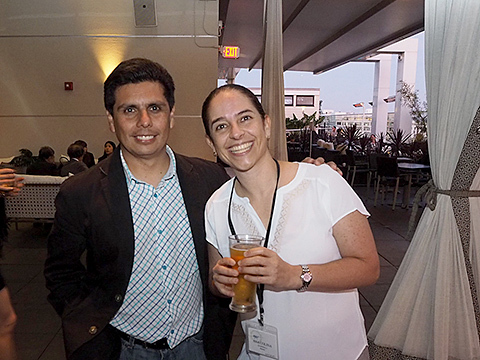 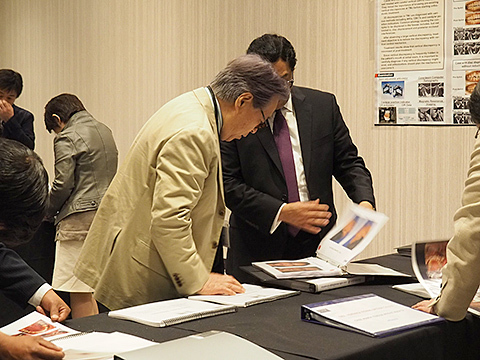 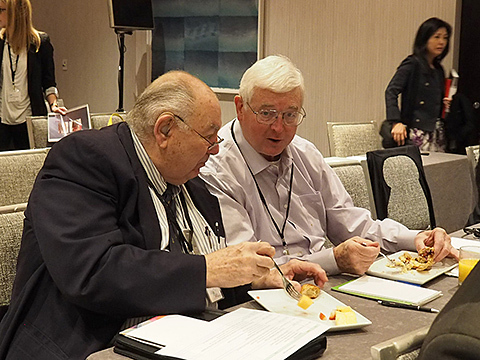 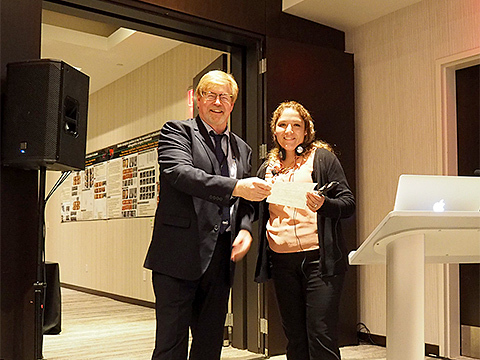 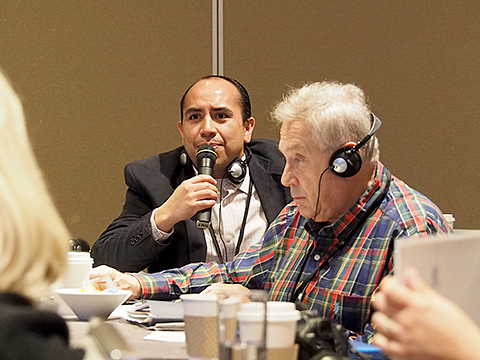 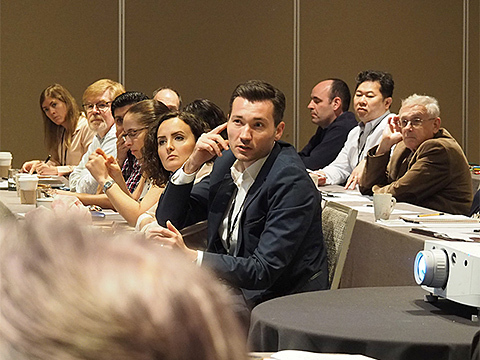 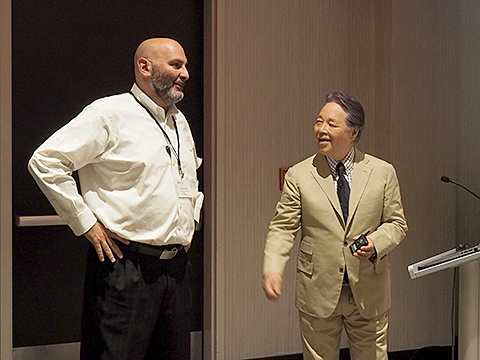 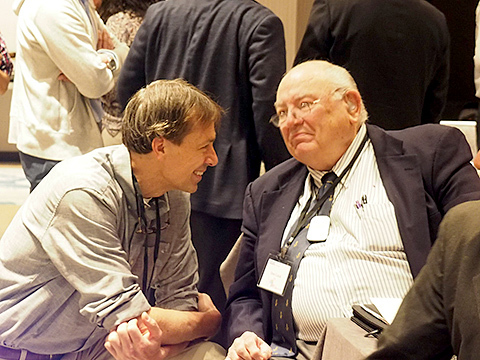 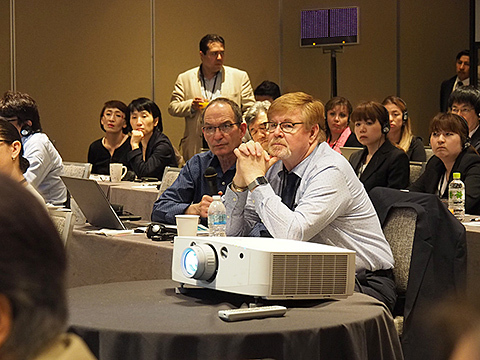 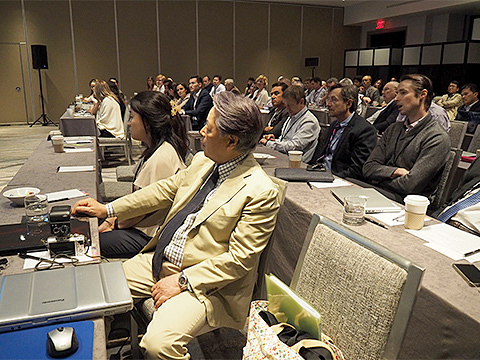 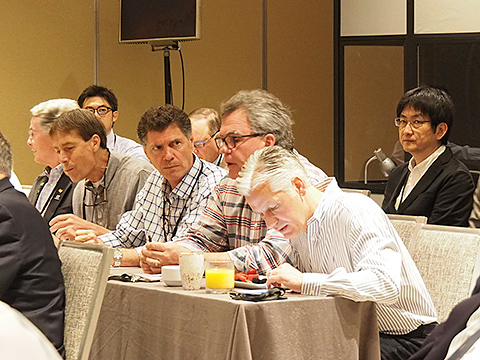 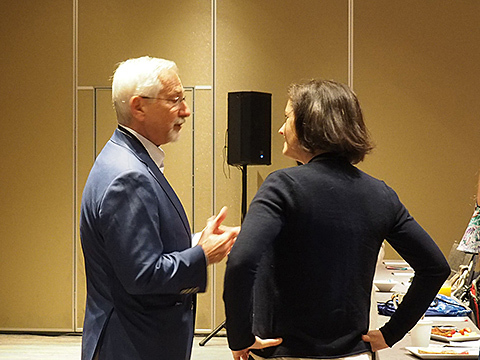 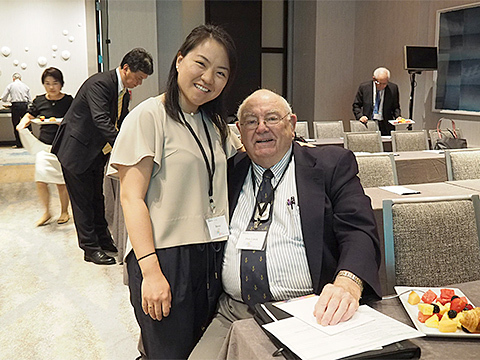 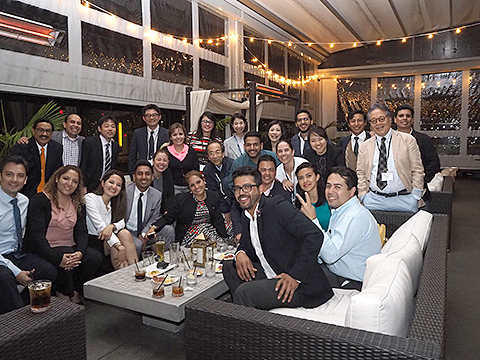 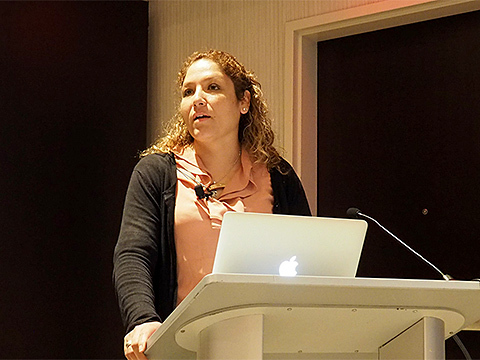 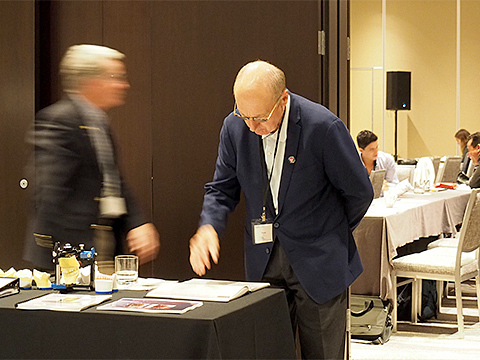 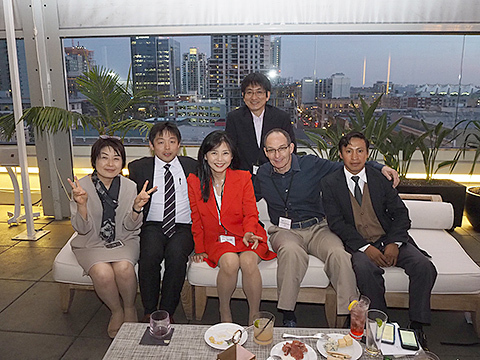 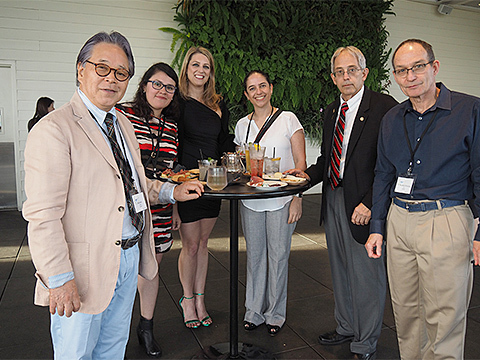 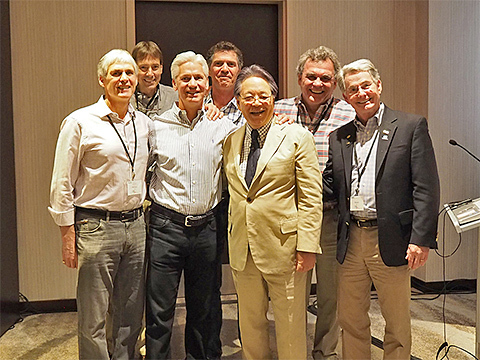 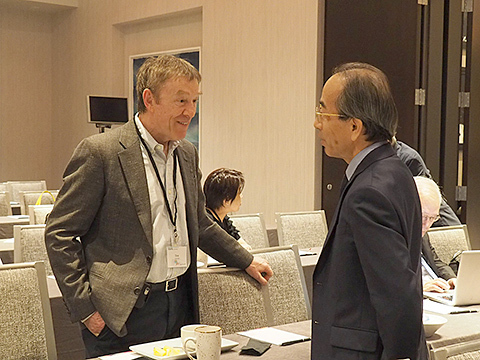 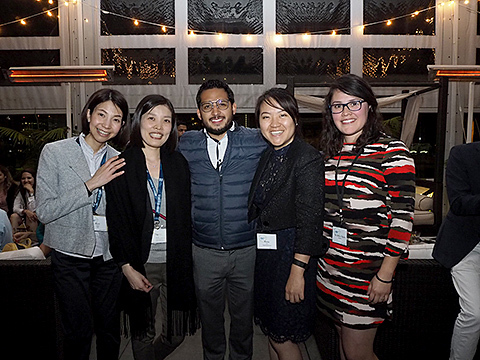 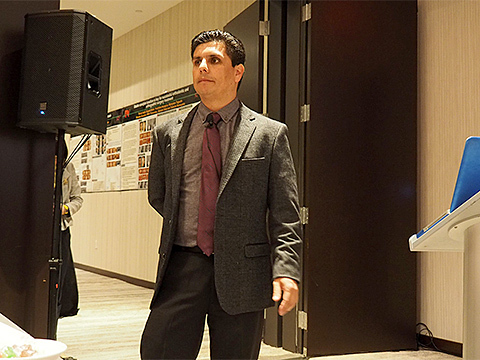 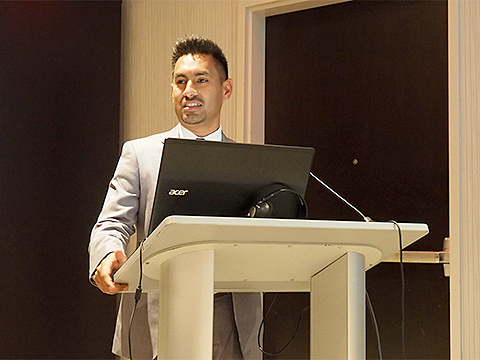 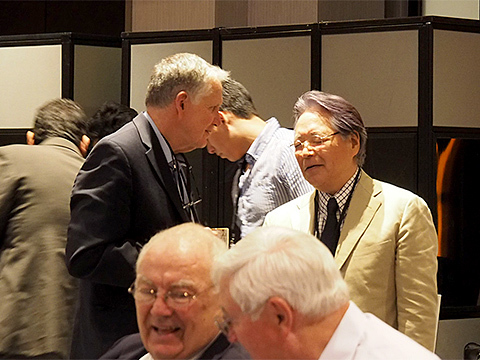 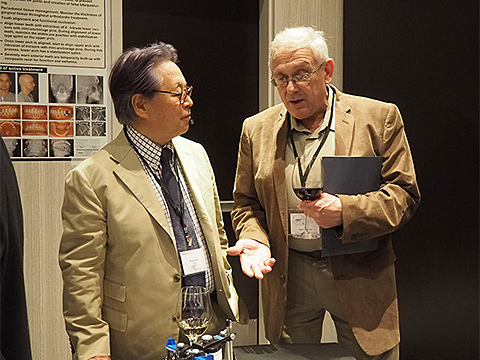 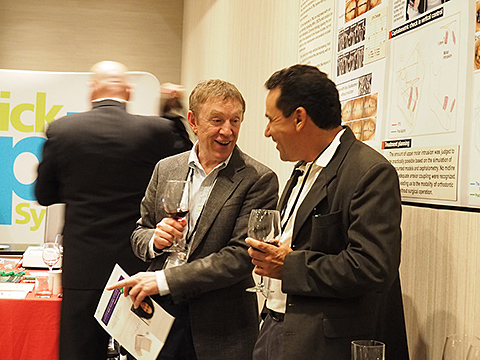 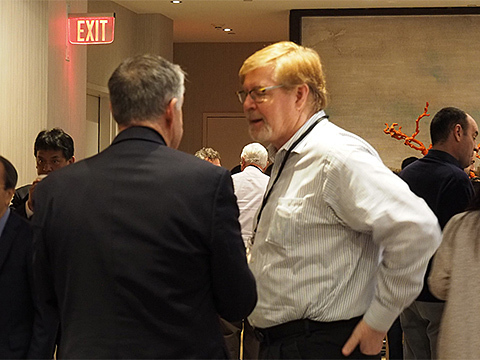 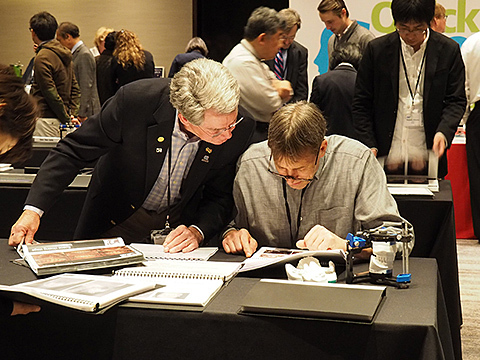 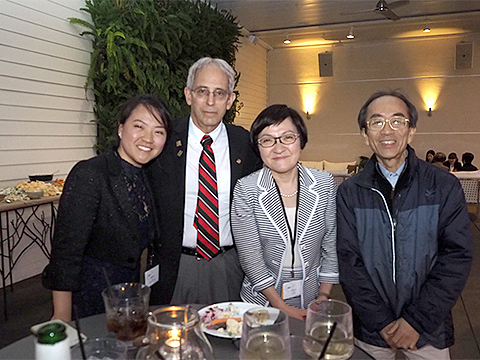 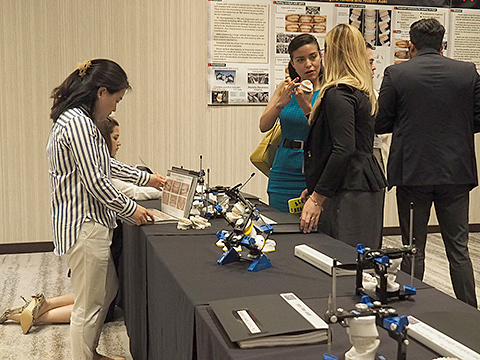 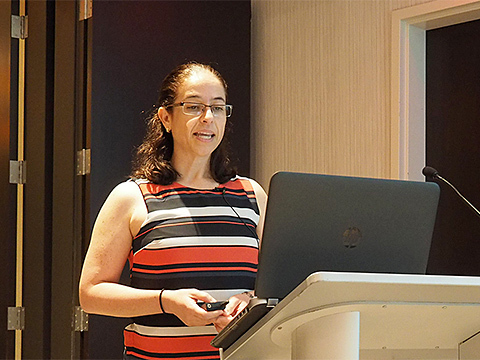 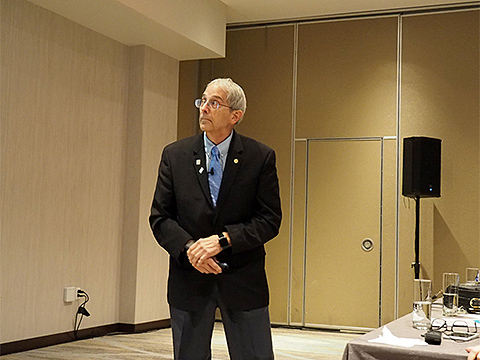 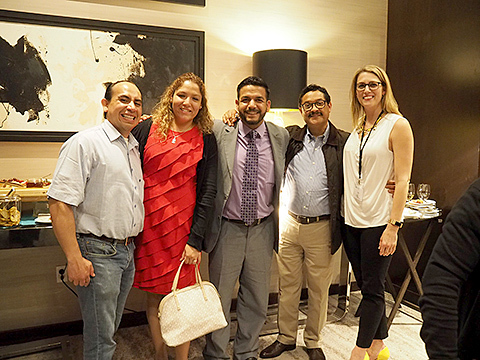 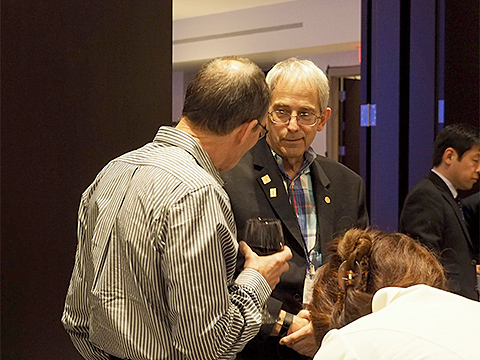 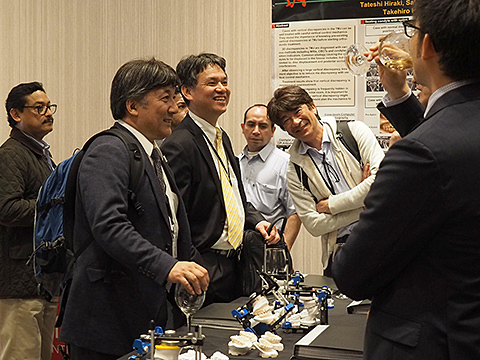 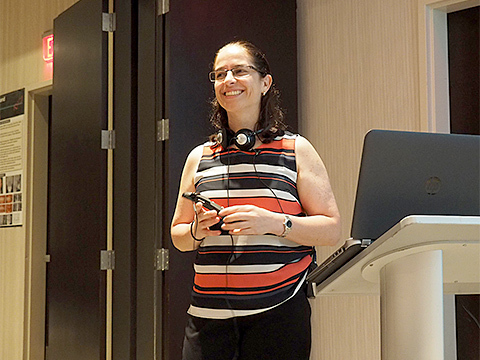 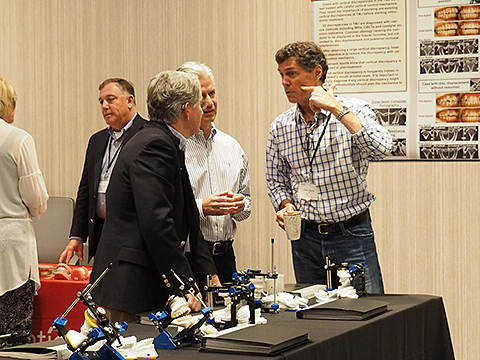 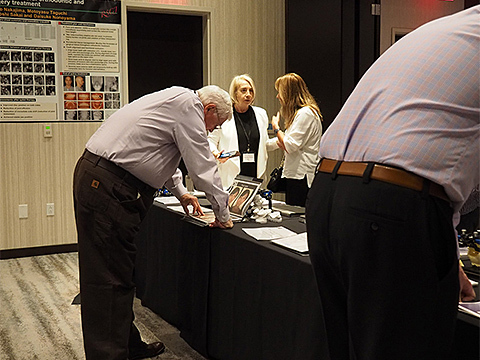 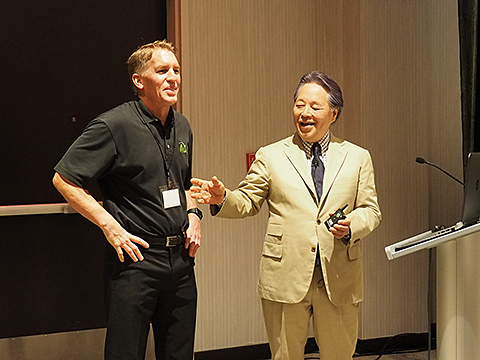 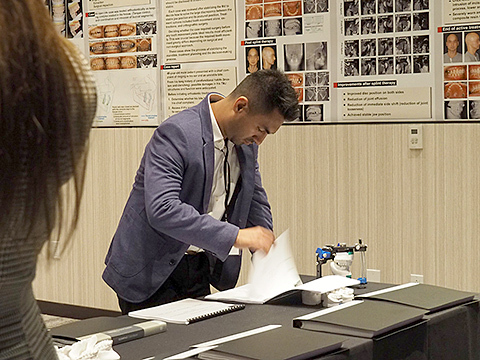 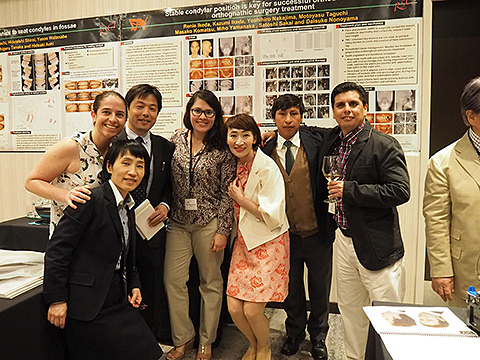 The San Diego meeting that followed marked the 7th year for RSCI. 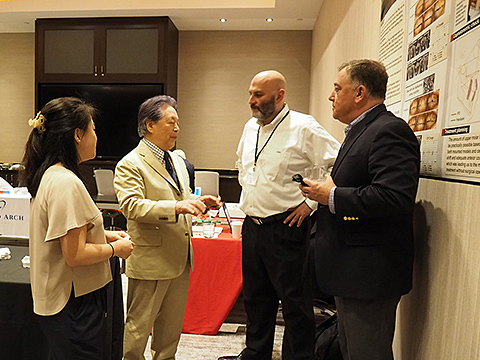 The circle of discussion surrounding case files have grown internationally. 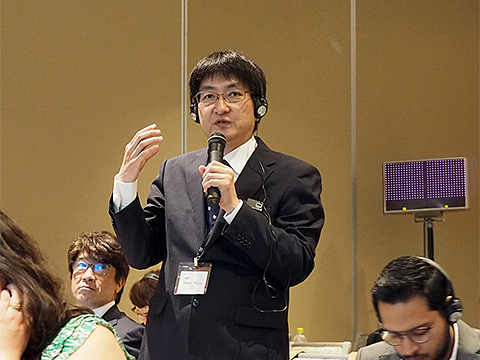 Oral presentations, as always, were followed by ample discussion time. 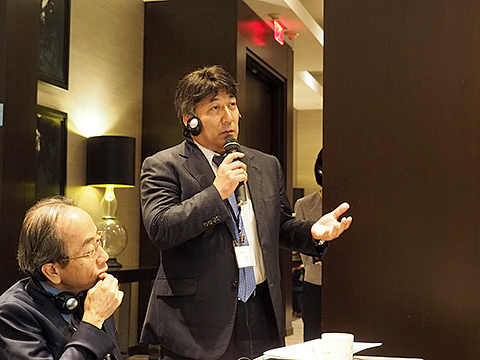 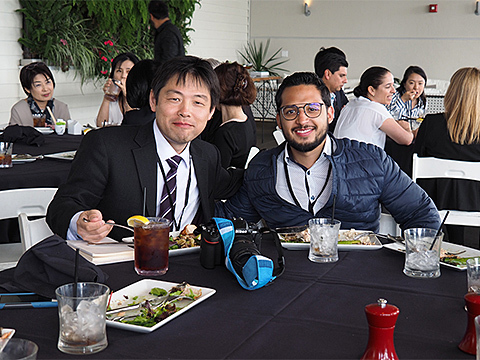 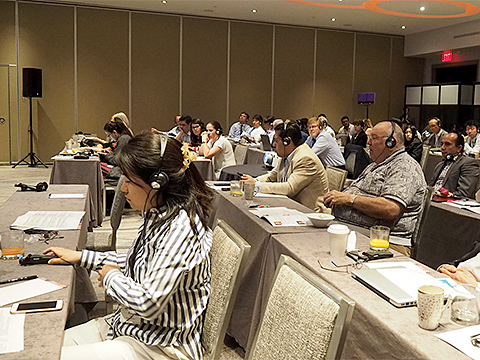 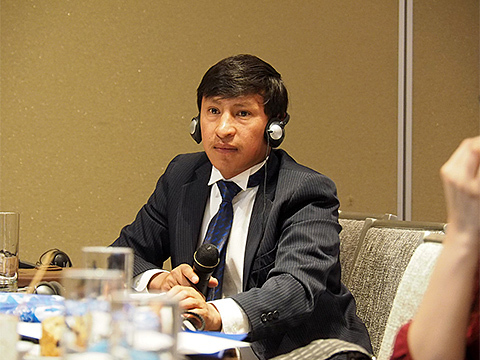 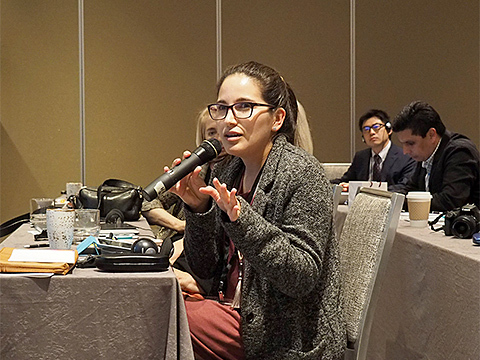 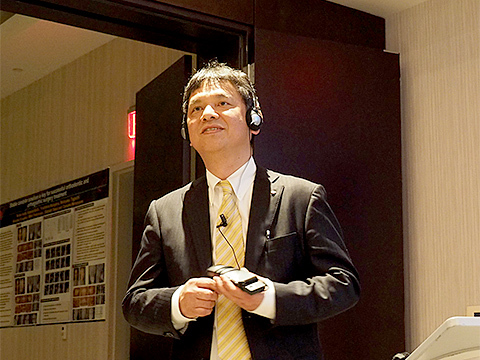 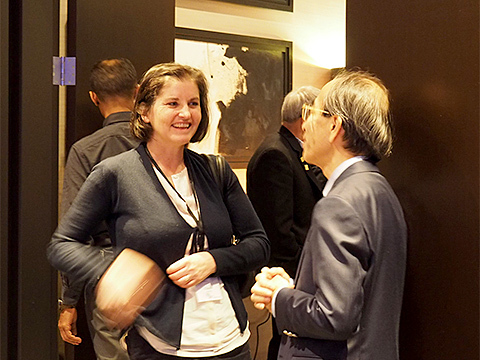 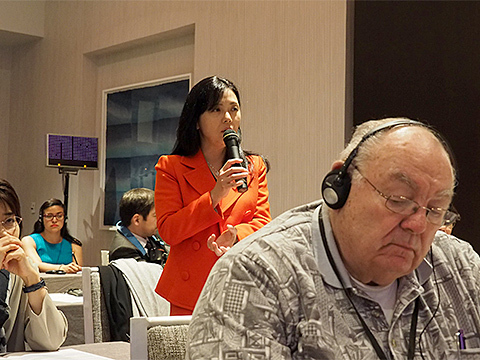 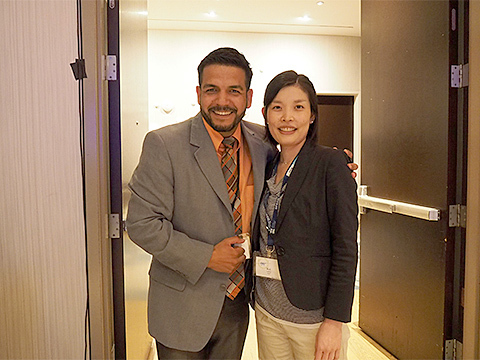 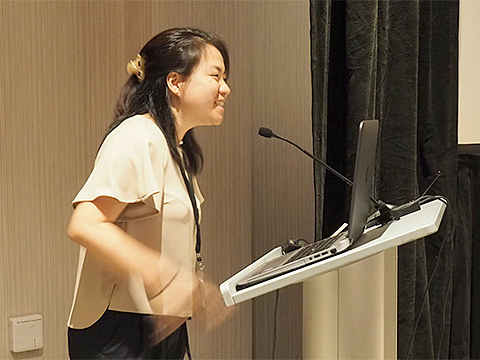 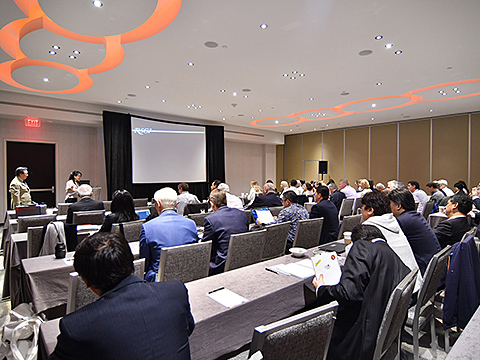 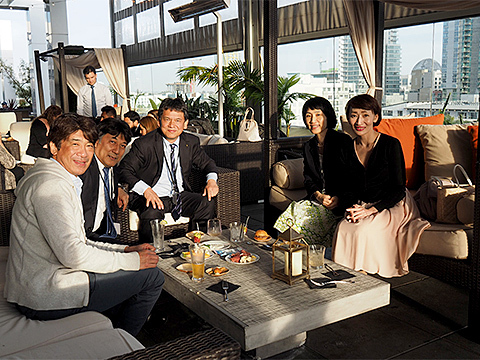 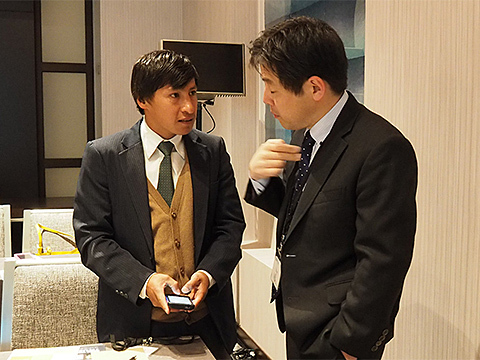 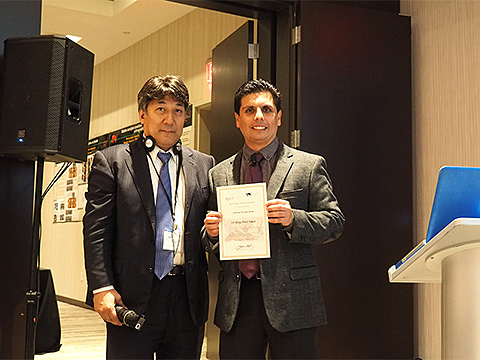 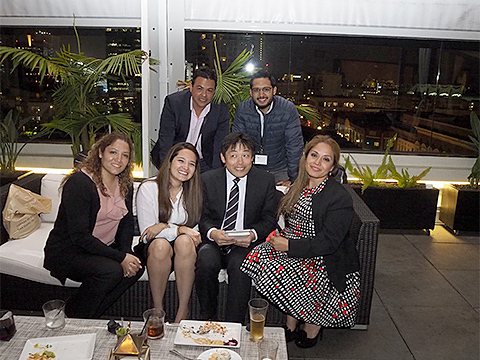 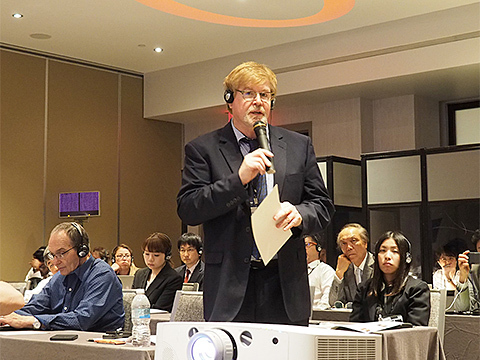 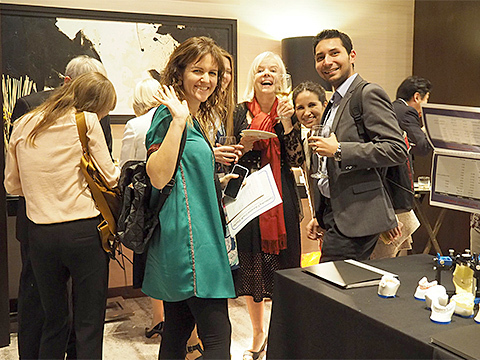 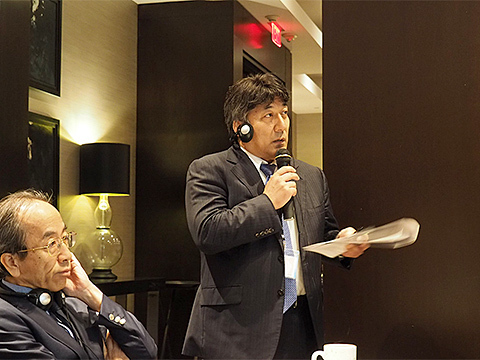 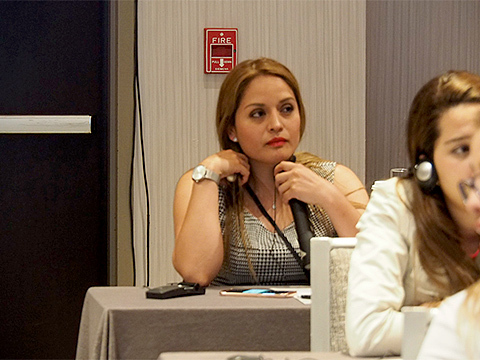 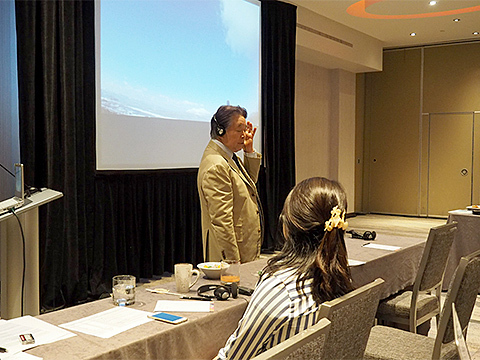 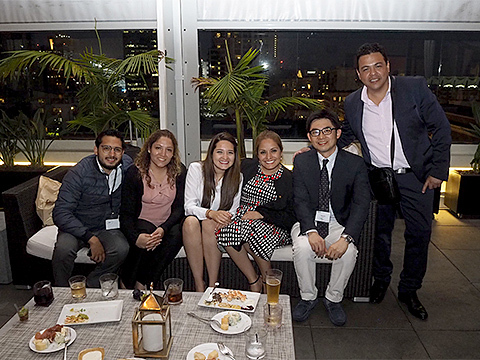 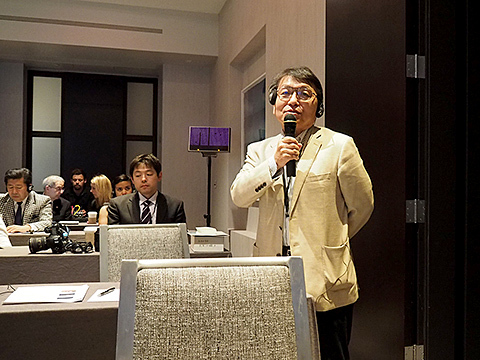 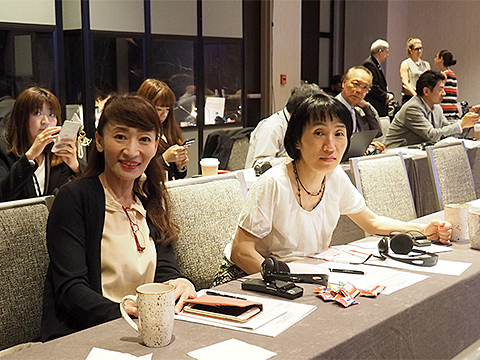 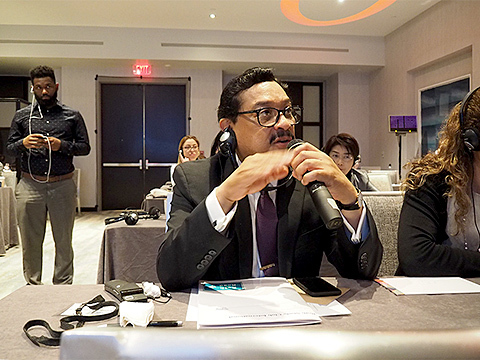 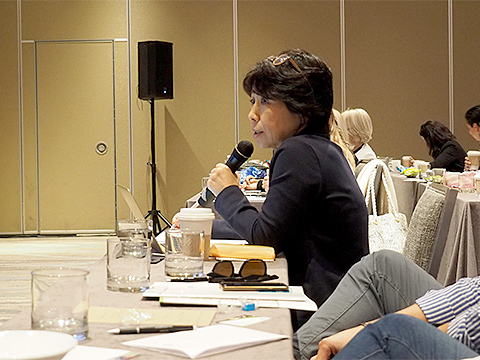 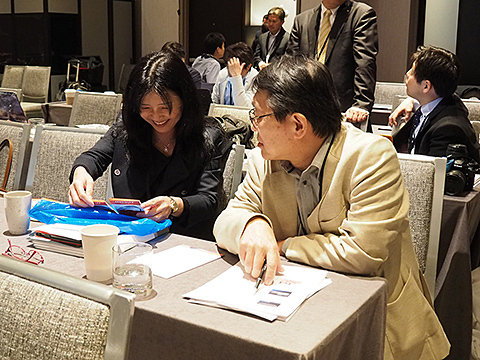 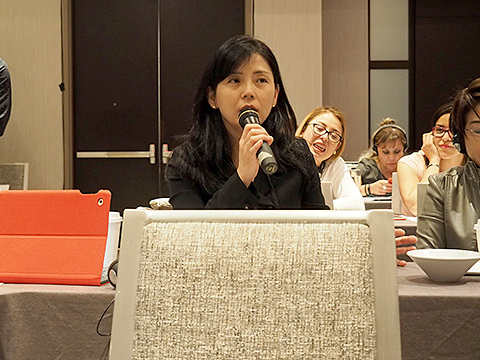 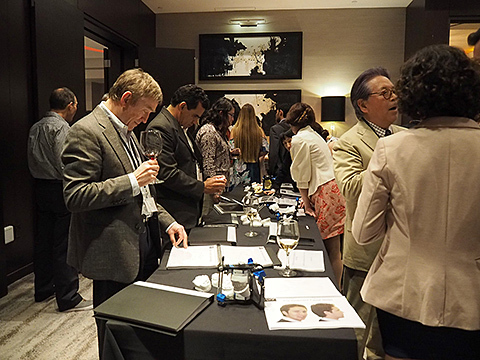 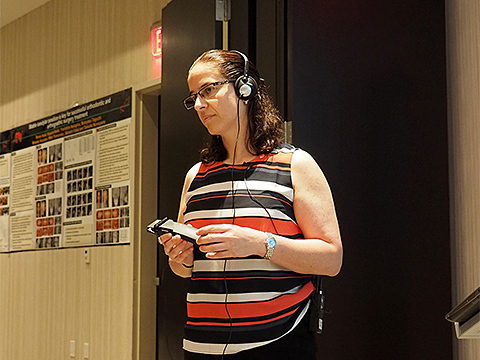 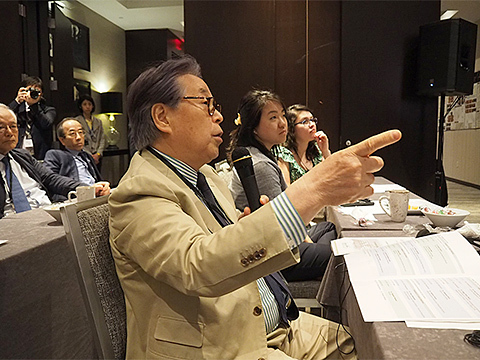 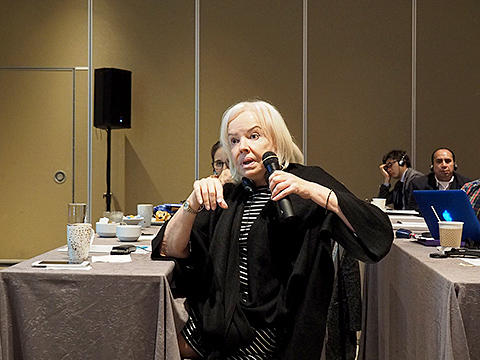 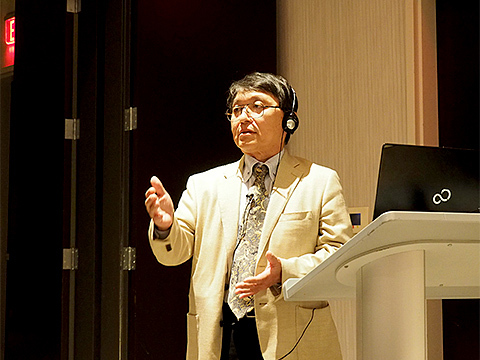 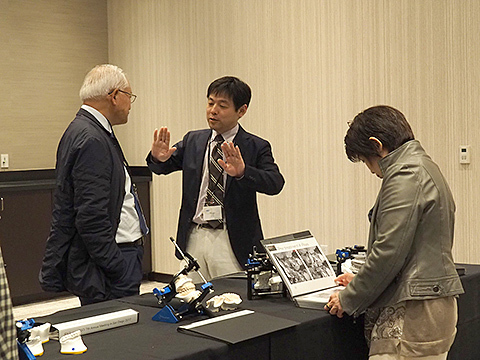 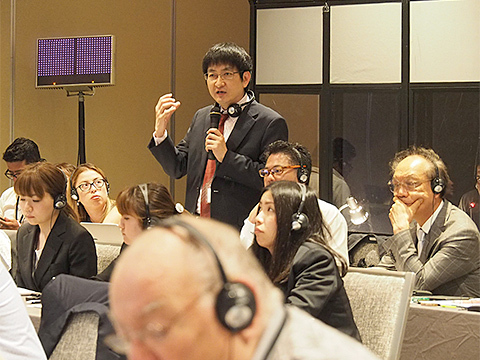 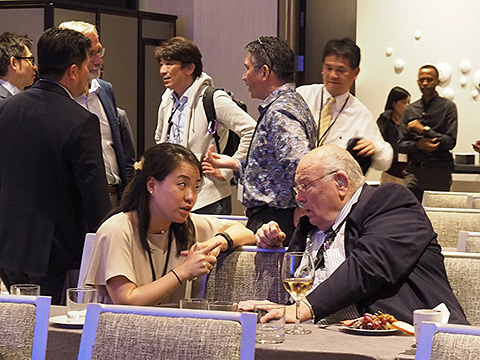 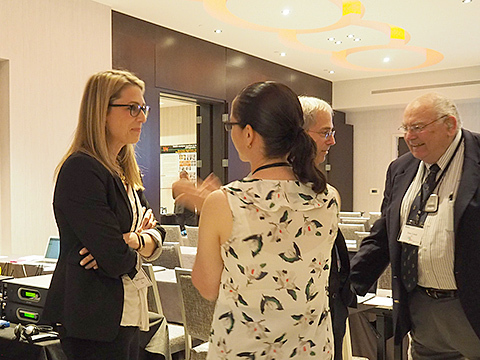 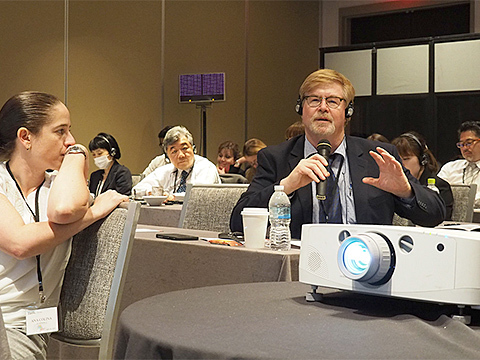 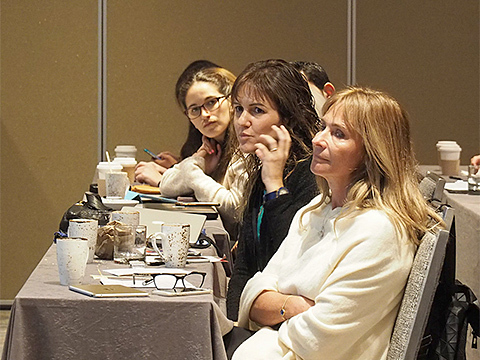 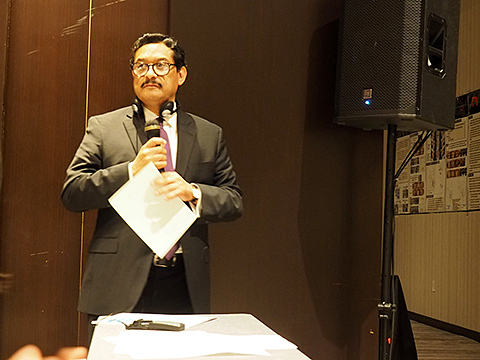 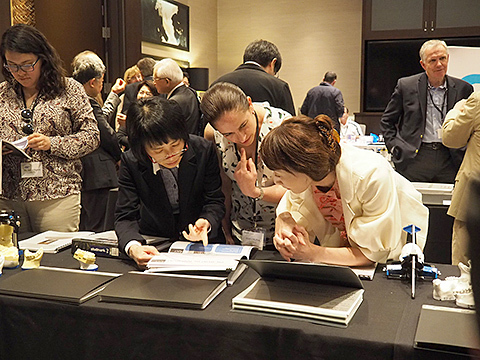 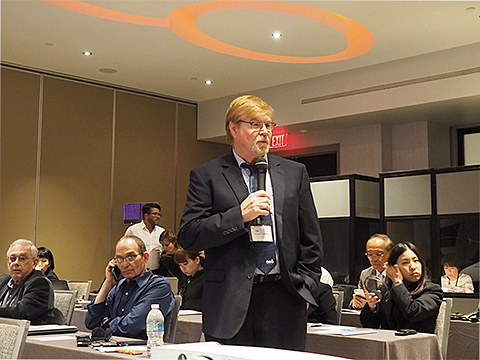 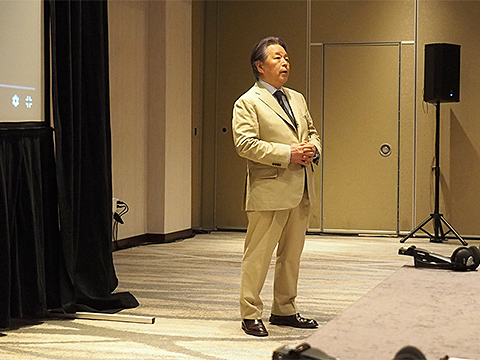 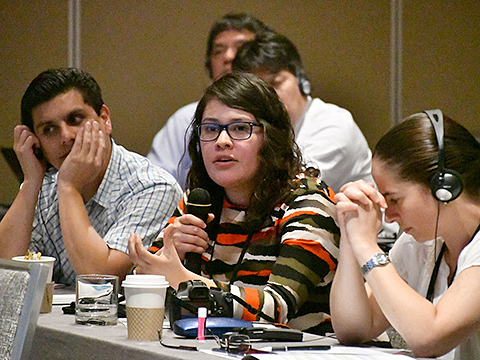 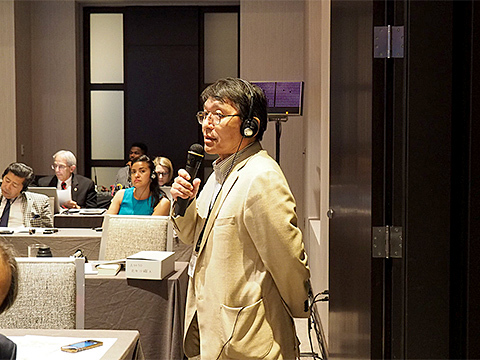 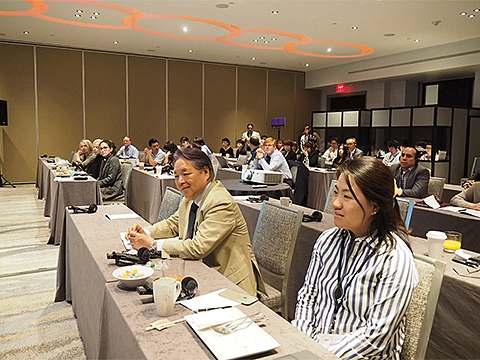 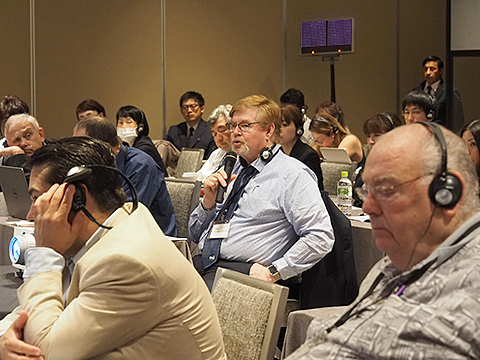 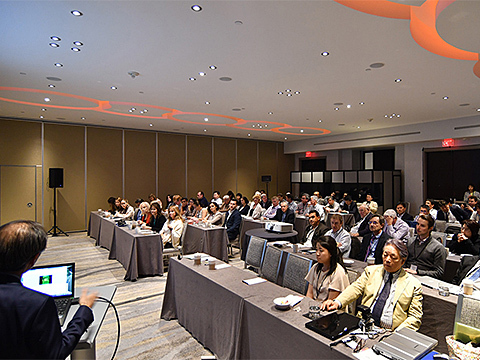 The two-way communication between the presenter and the attendees with the help of the Japanese and Spanish translators, makes our group a one of a kind, truly international meeting. 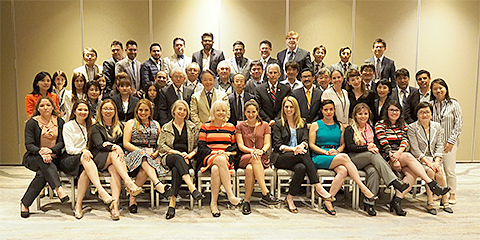 Thank you so much to every single one of you for yet another successful meeting, and see you again soon in Washington DC! 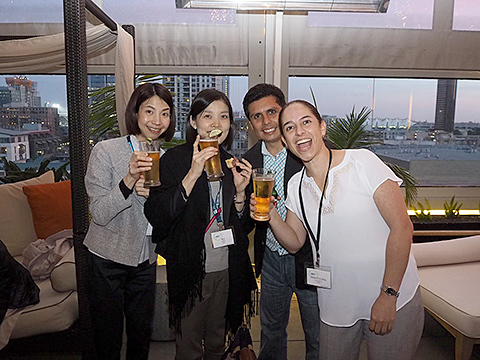 Happy hour after the lectures! 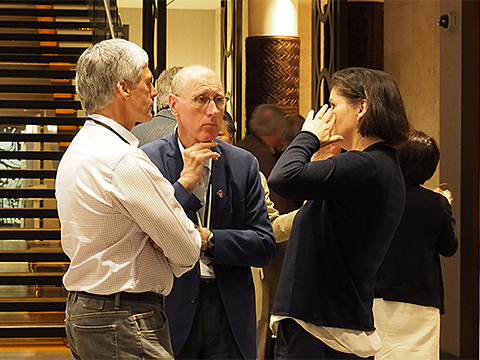 Discussions continue with a glass of wine in hand. 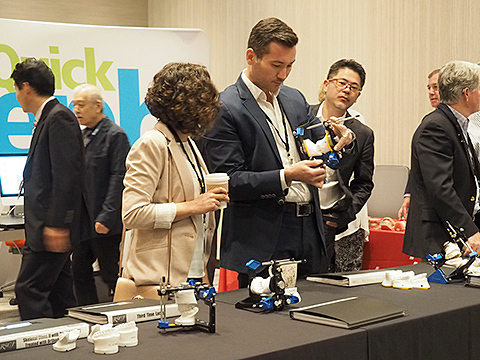 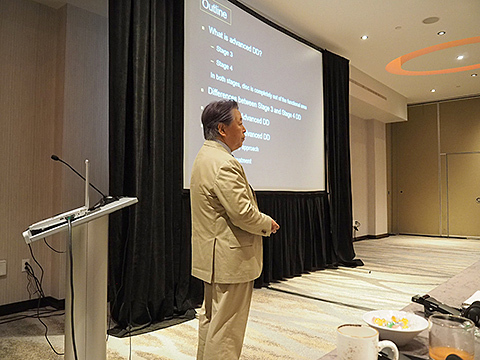 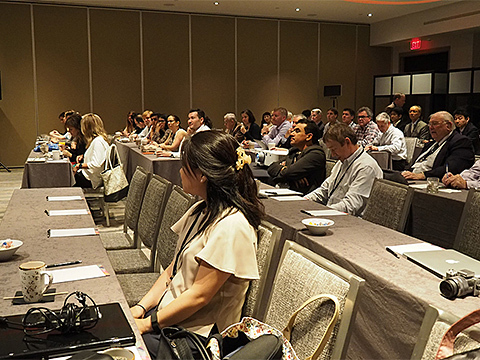 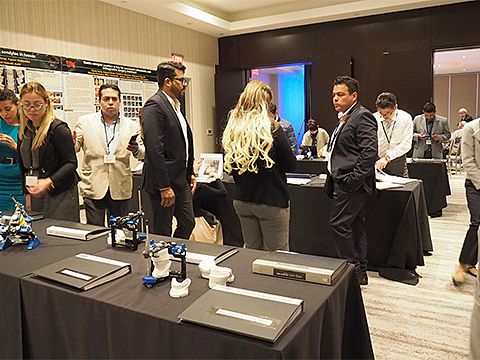 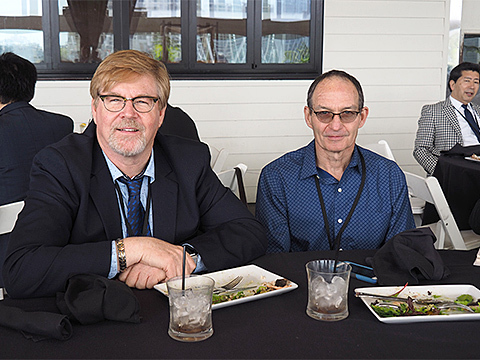 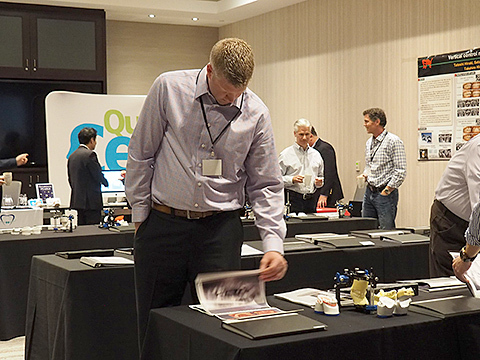 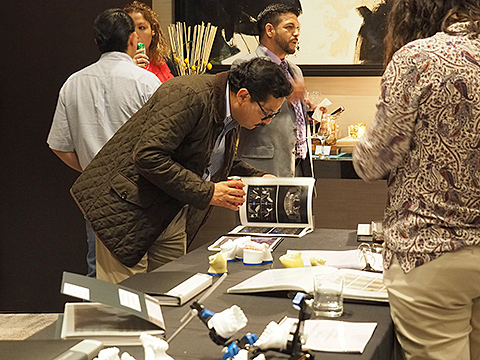 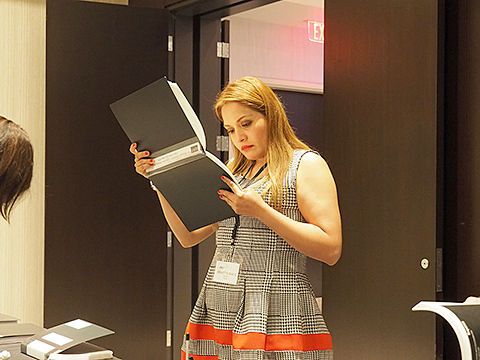 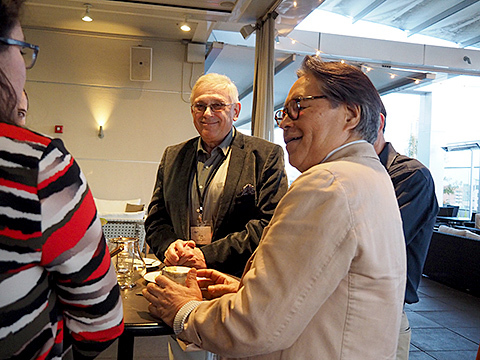 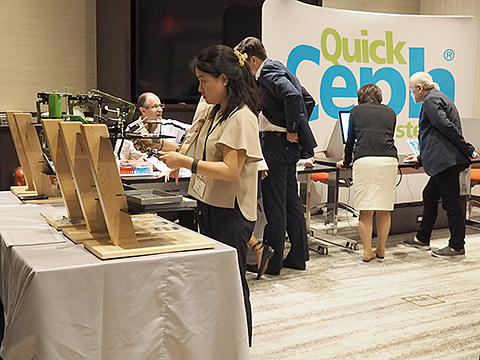 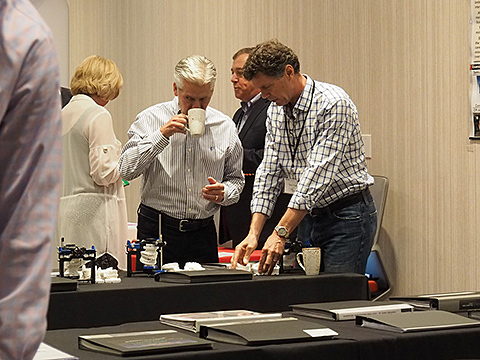 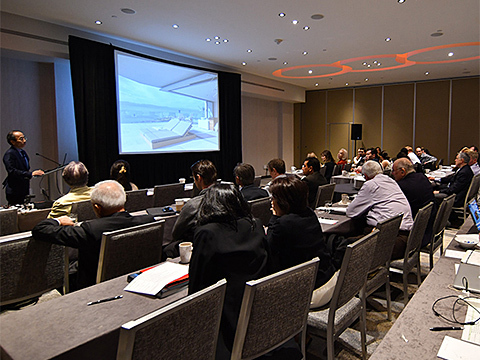 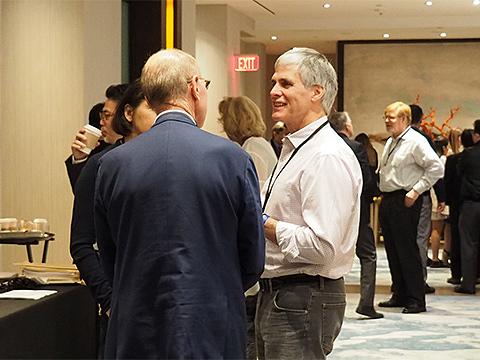 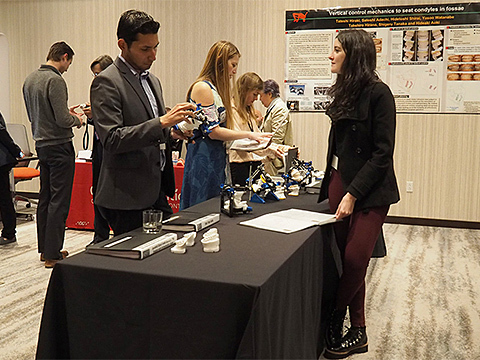 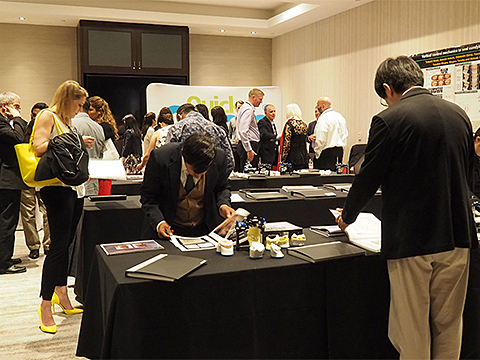 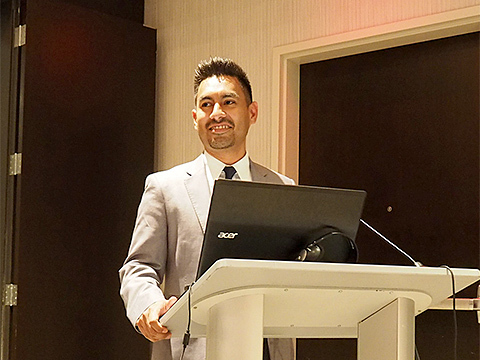 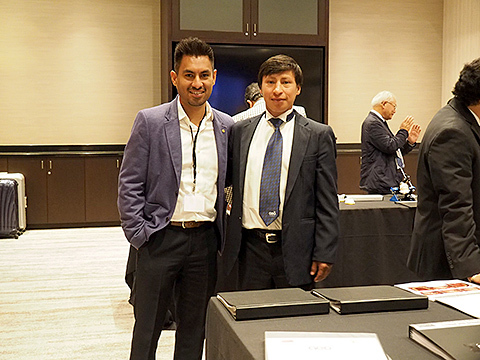 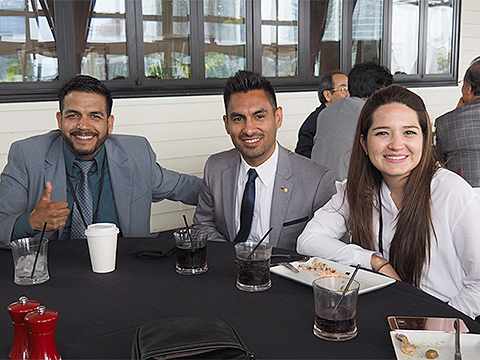 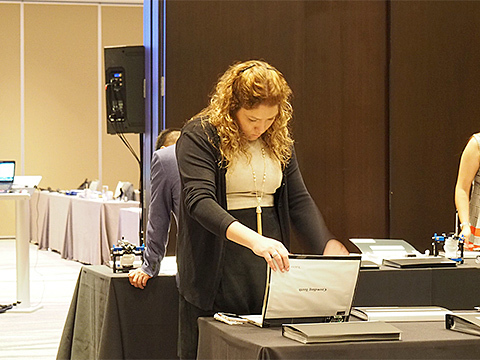 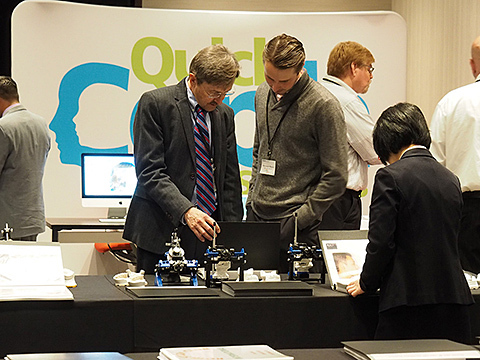 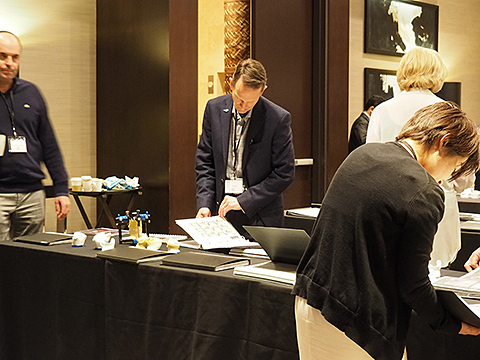 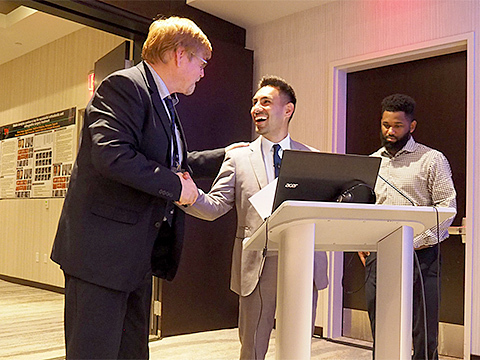 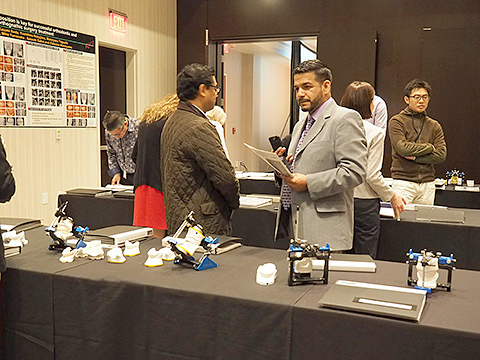 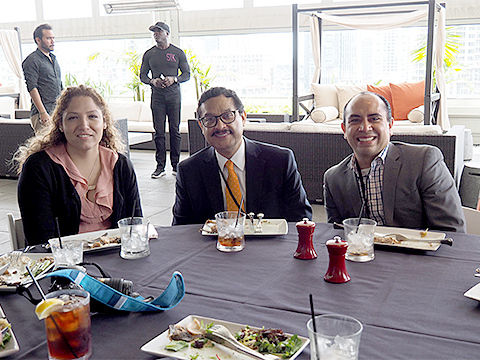 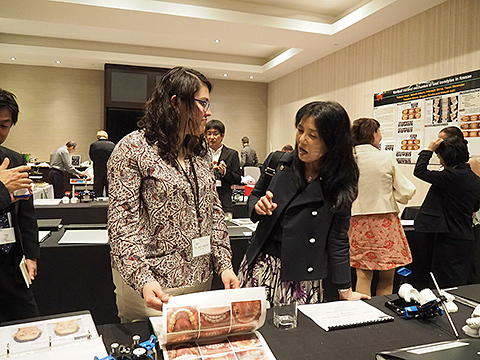 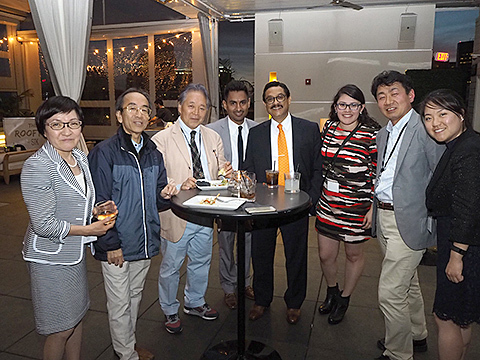 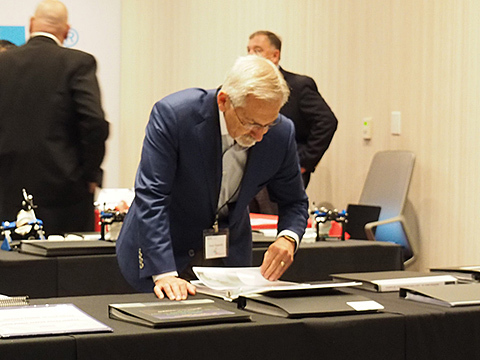 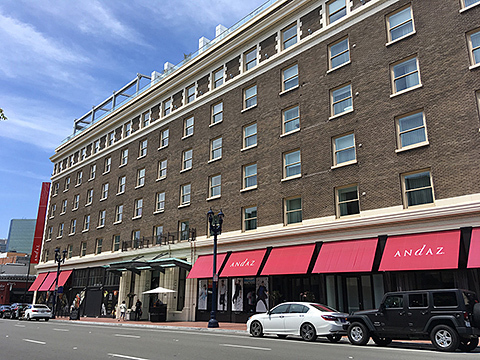 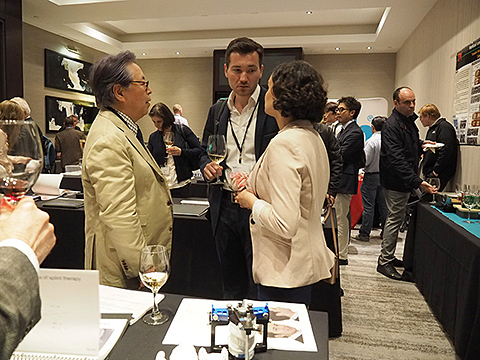 The 7th annual meeting, April 27-28, 2017 The meeting was held near the convention center at ANdAZ San Diego. 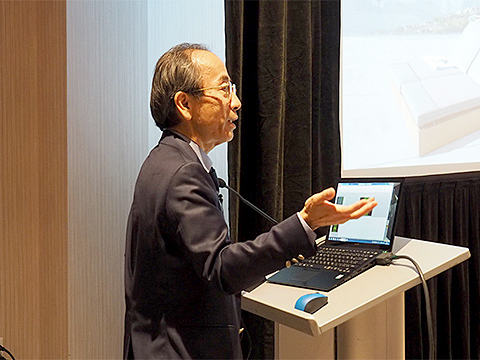 Kazumi Ikeda giving the Opening remark, describing Demoiselle cranes that make it possible to migrate over the Himalayas by lining up in their flight formation. 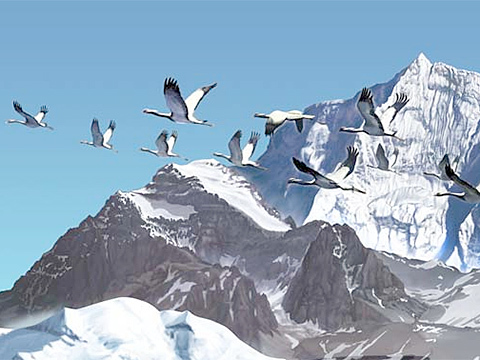 These Demoiselle cranes can reach their seemingly unattainable goal by joining their forces together in their flight formation. 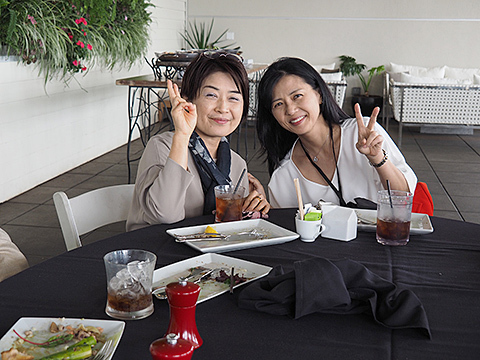 Kazumi compared our study group to these Demoiselle cranes carefully judging the right moment to cross the 6000-7000 meter Himalayan peaks together. 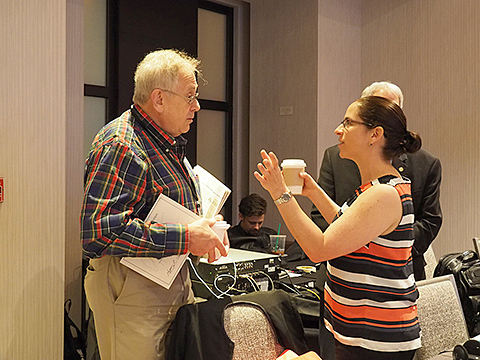 The required case files—everyone brought one again! 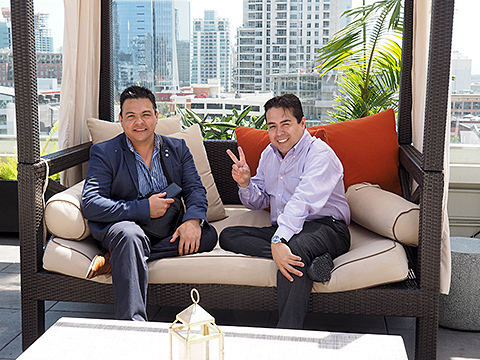 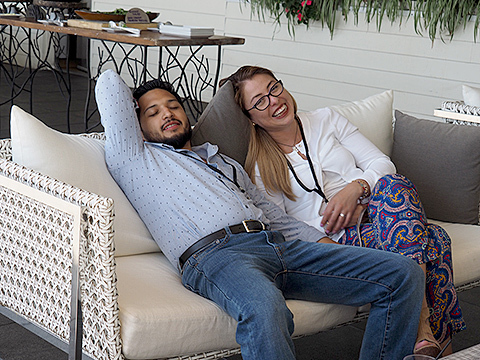 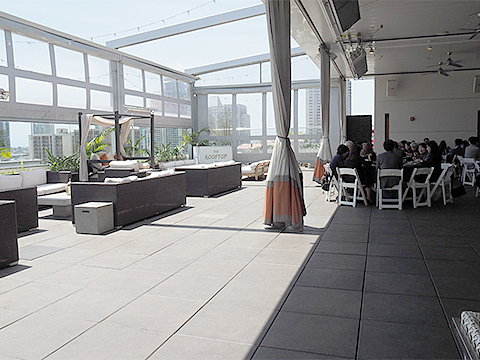 Lunch time: time to relax on a rooftop! 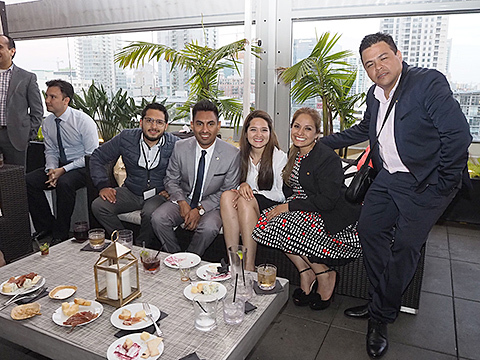 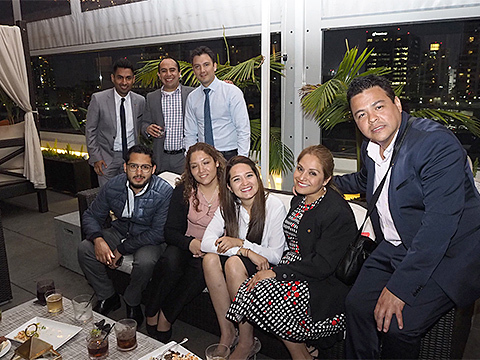 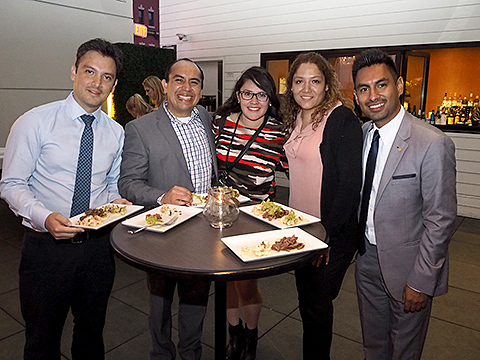 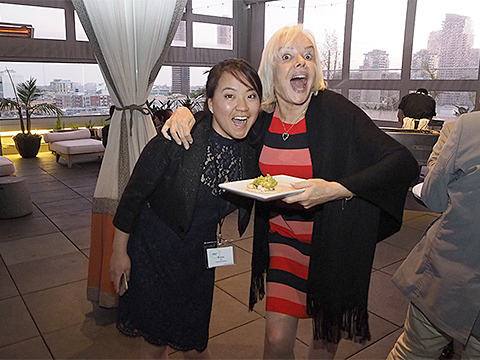 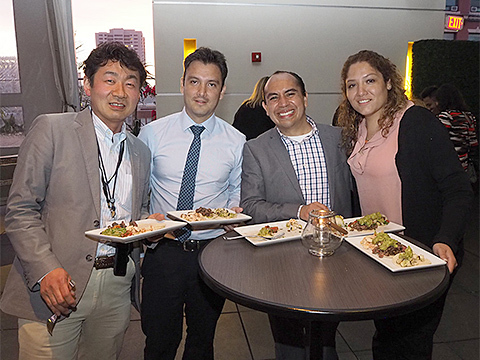 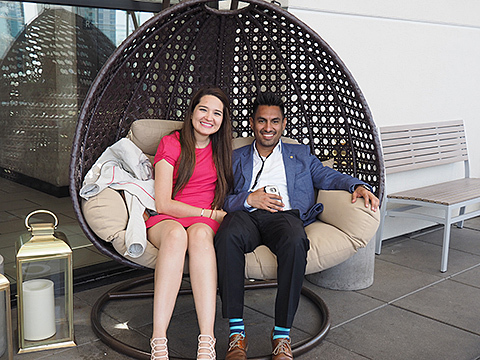 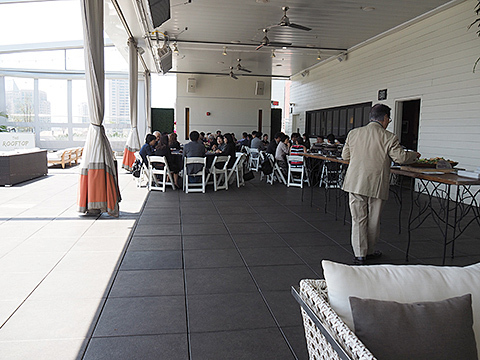 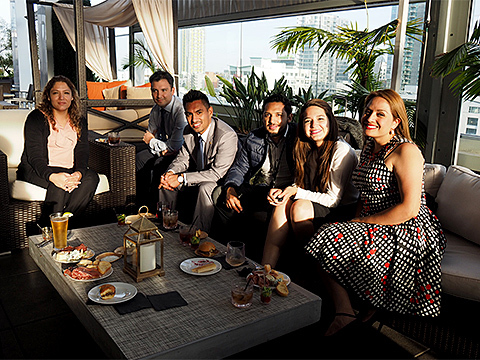 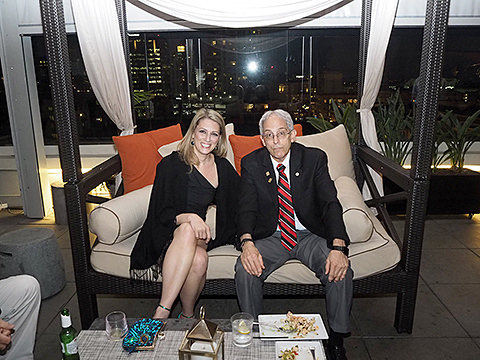 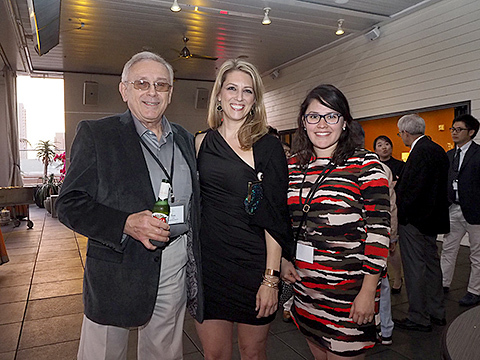 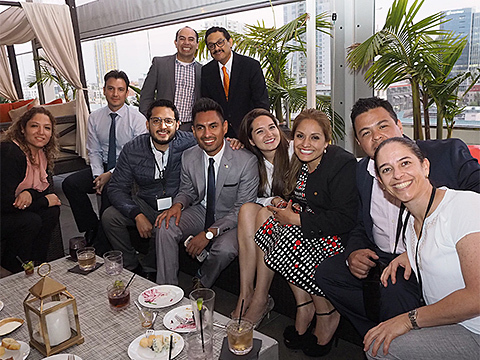 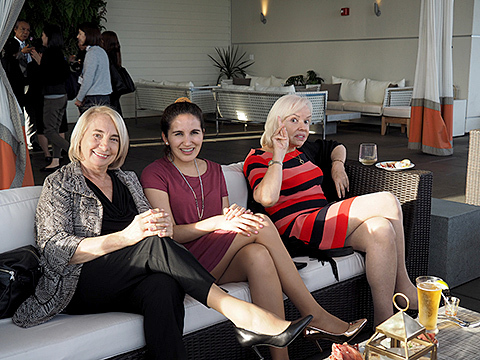 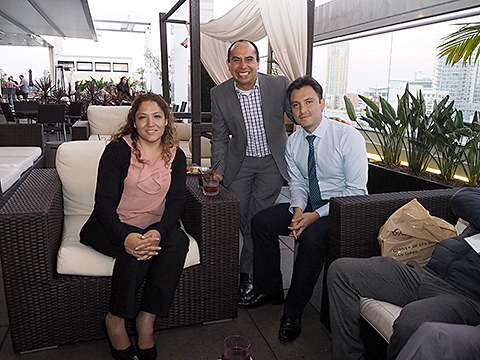 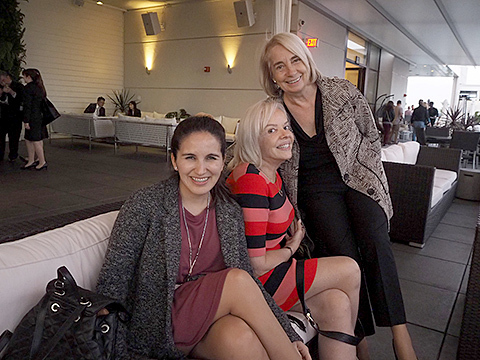 Gala was held at the rooftop restaurant at ANdAZ San Diego. 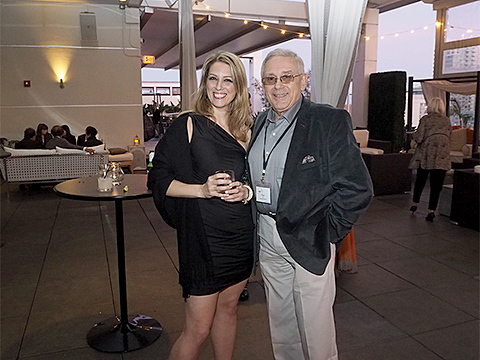 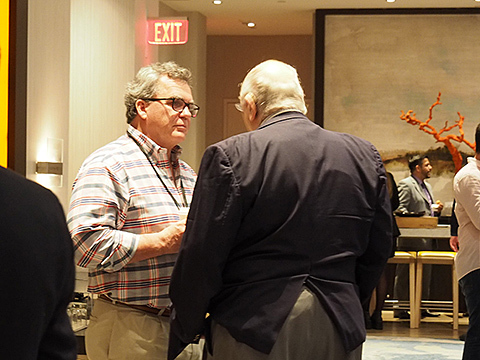 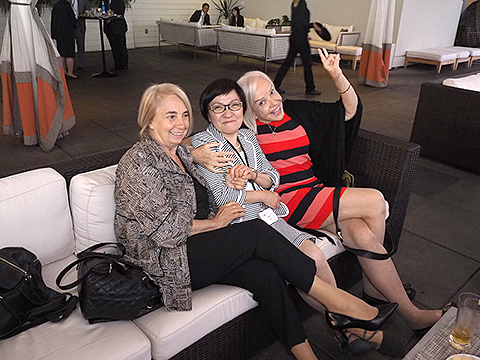 The gala started just before the sunset, and we all had a great time mingling and unwinding outside of the meeting room. 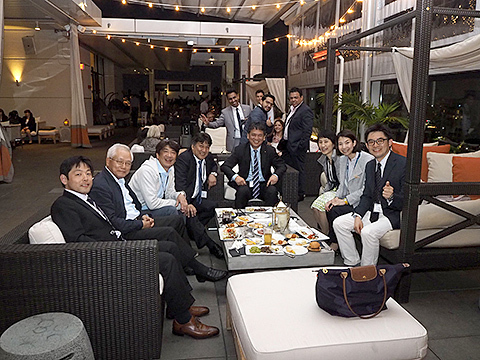 Group picture at the end of the night before the dance party started. 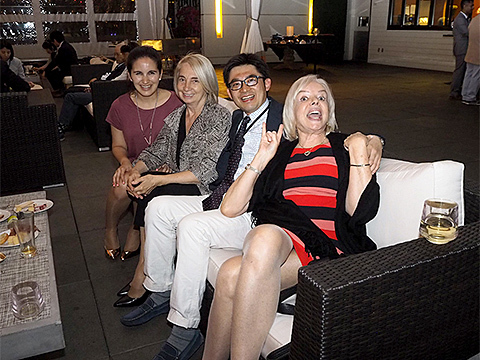 What a fun evening! 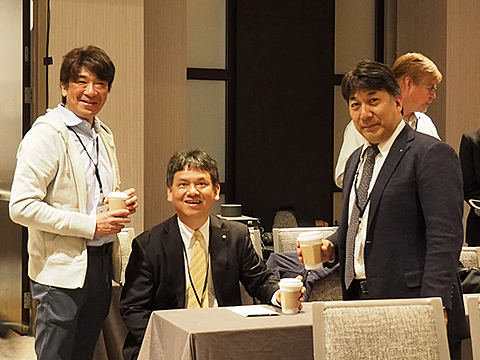 See you again next year, everyone!